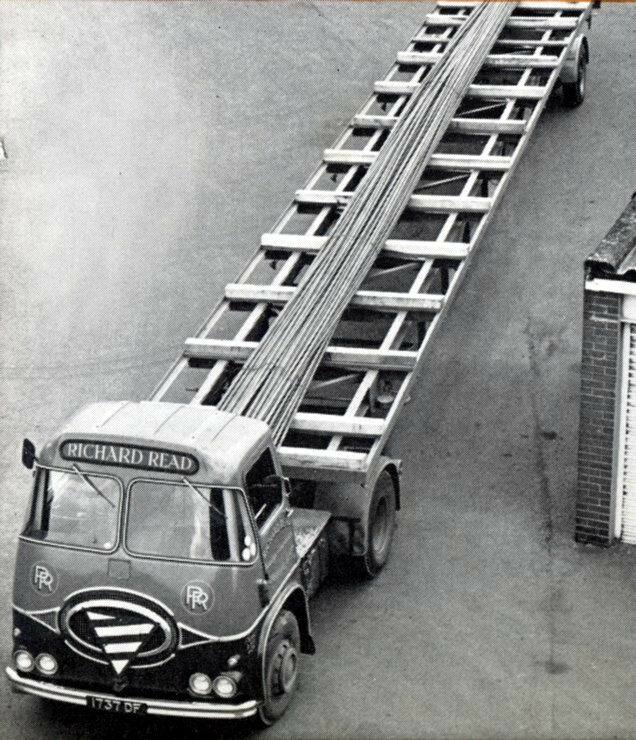 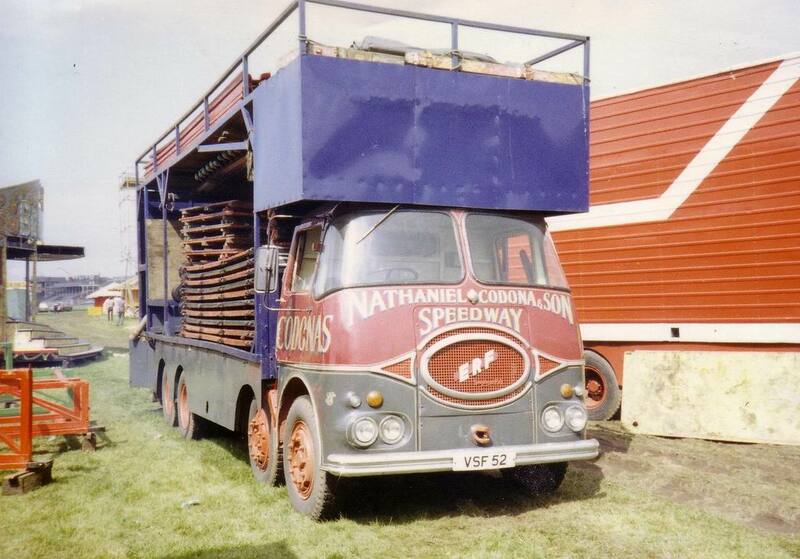 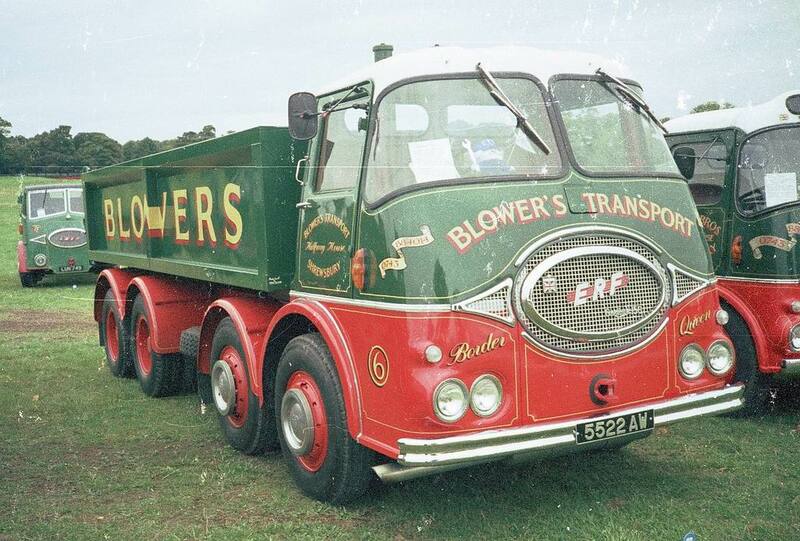 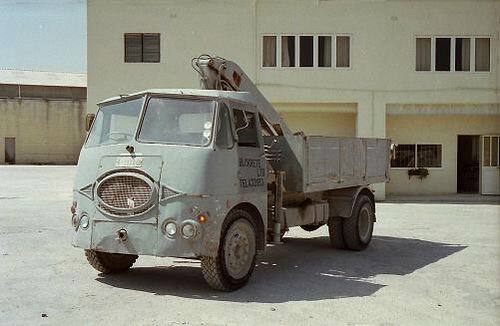 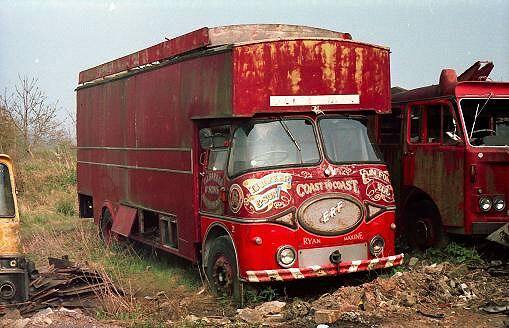 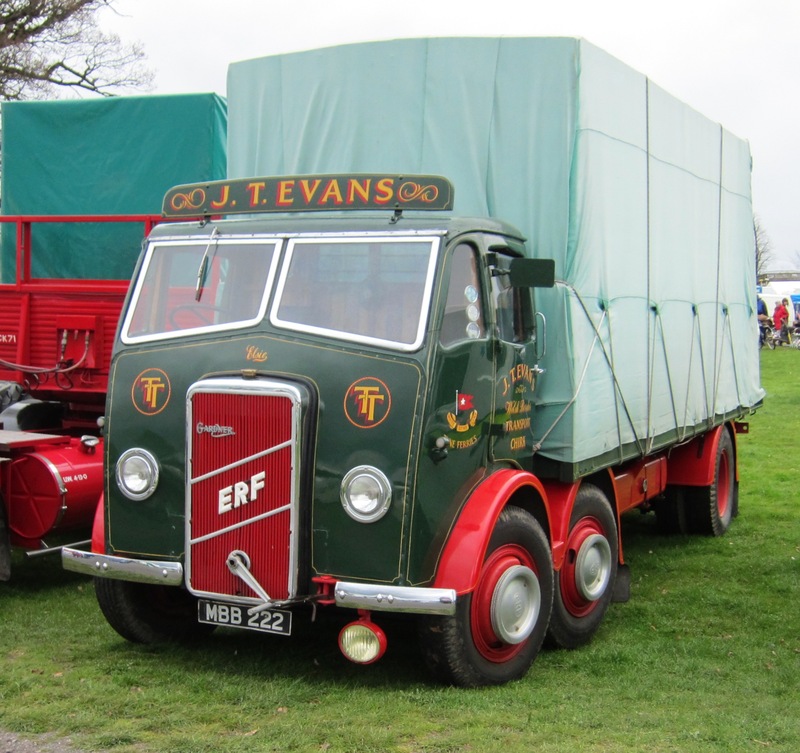 Edwin Richard Foden was a British truck manufacturer. 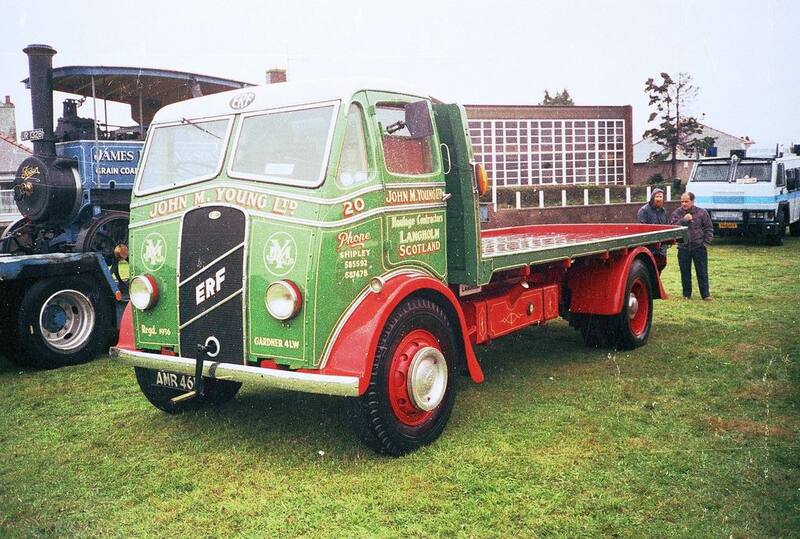 Established in 1933 by Dennis Foden, 1932 Edwin Richard Foden retired from Foden. 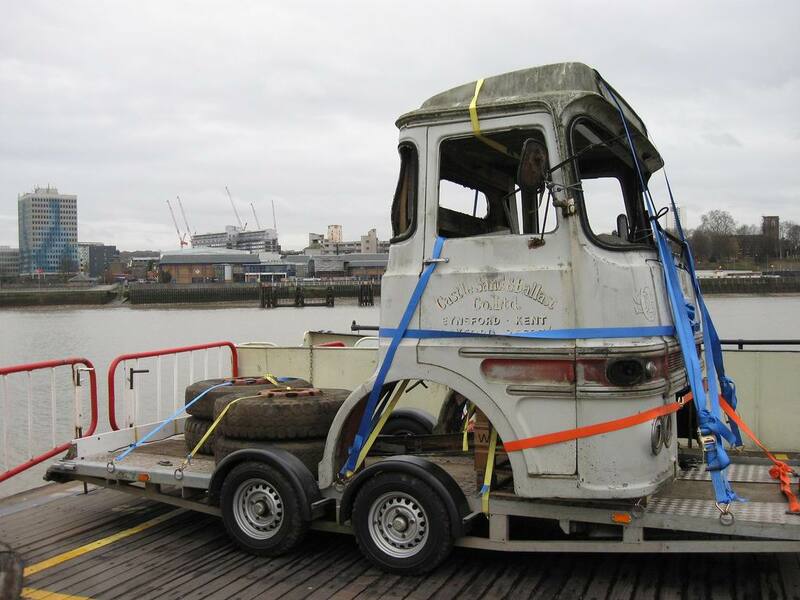 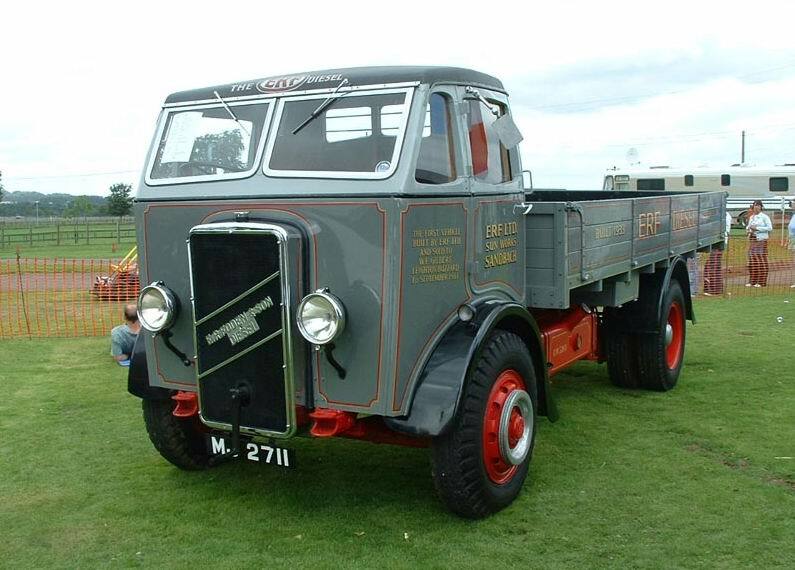 1933 The new company used the same Jennings cabs and Gardner engines as Fodens had done. 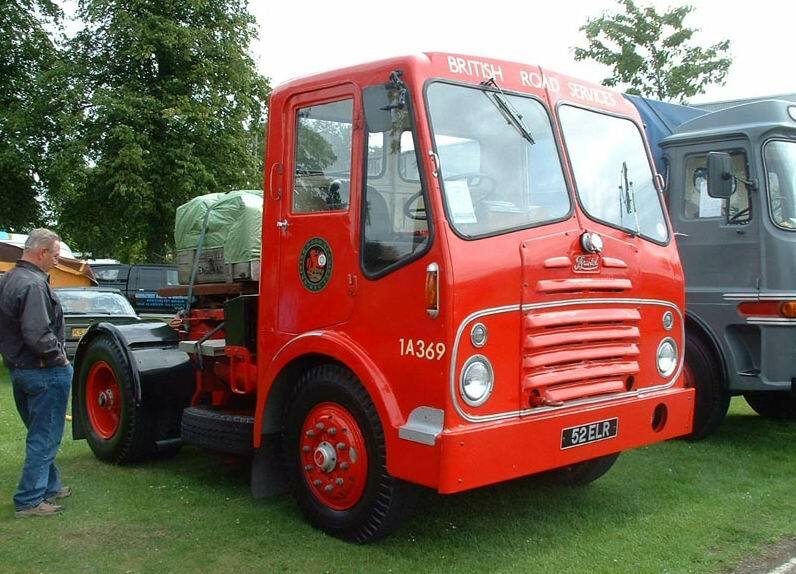 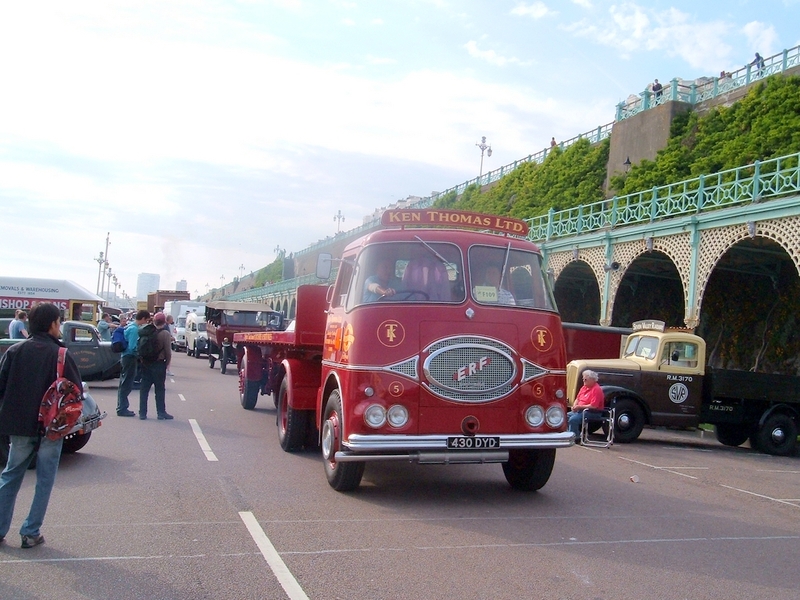 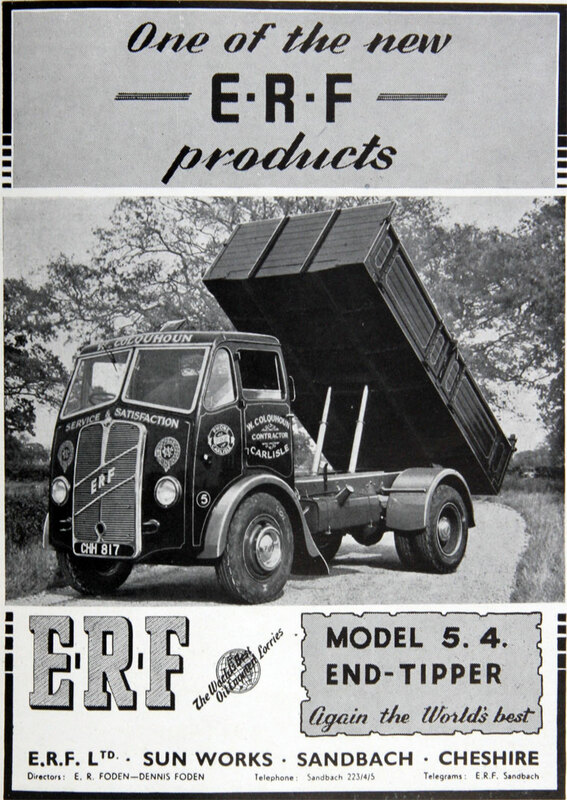 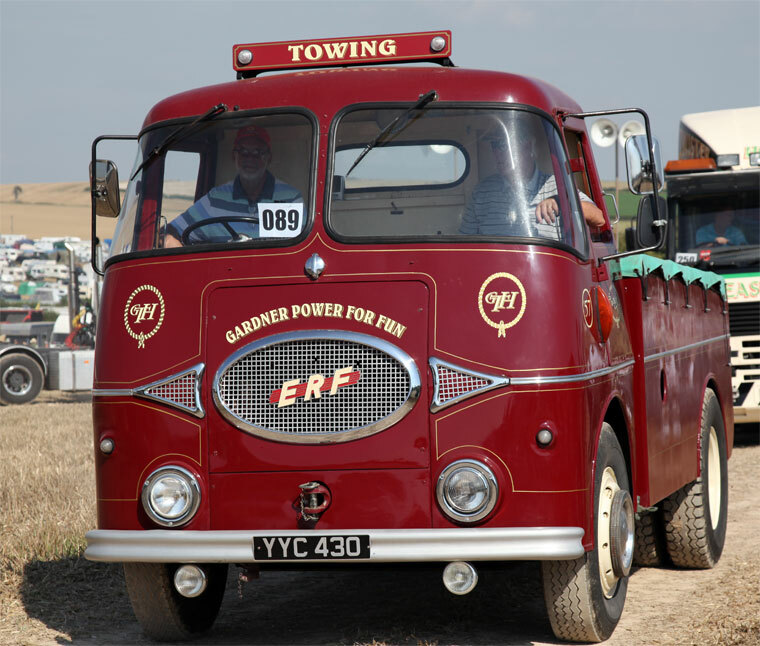 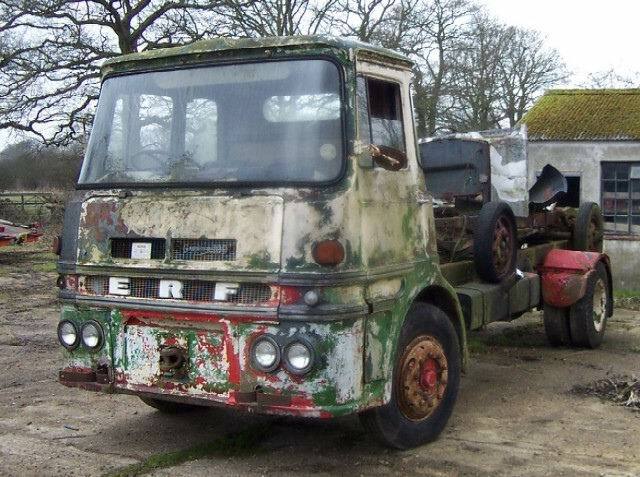 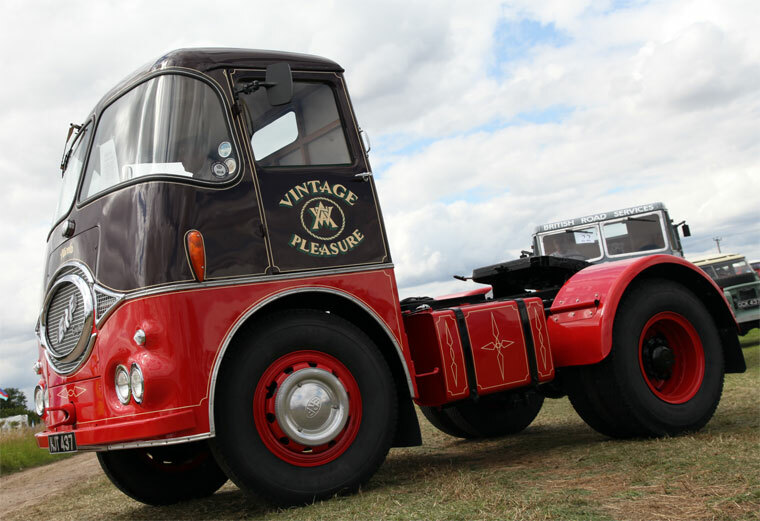 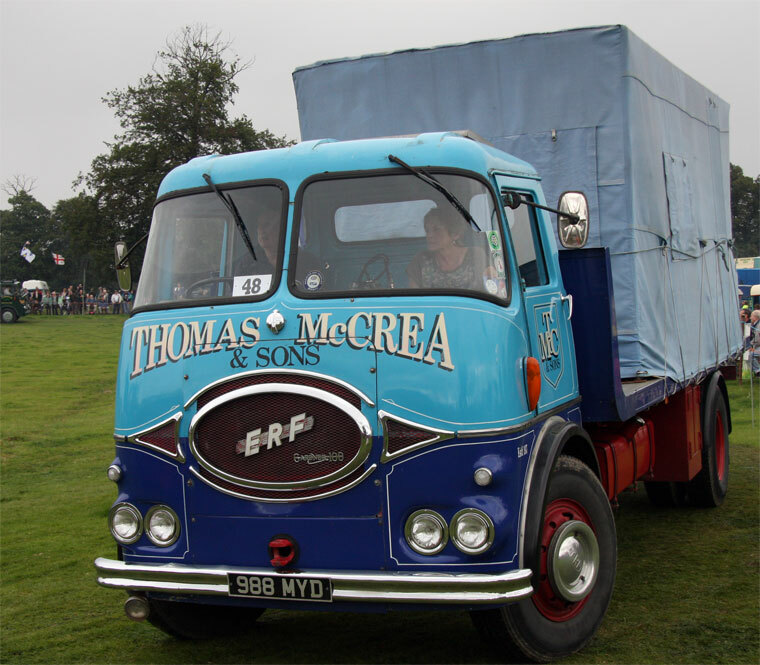 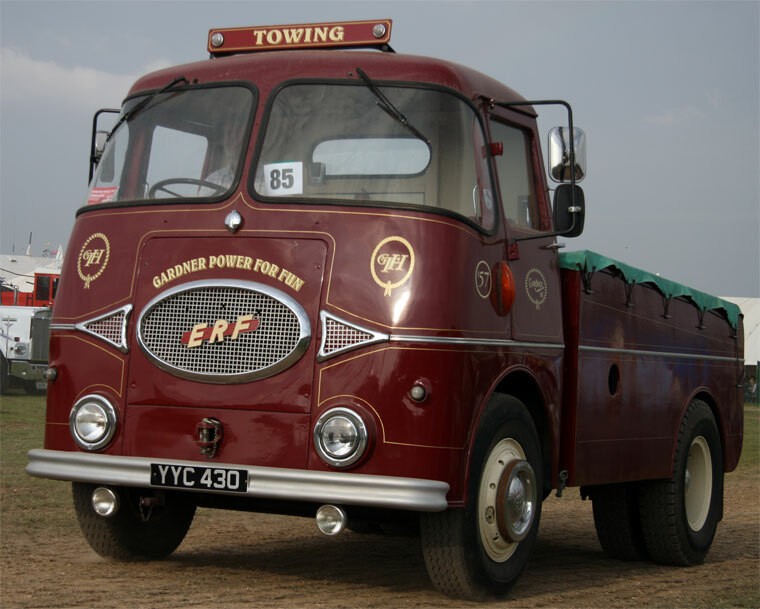 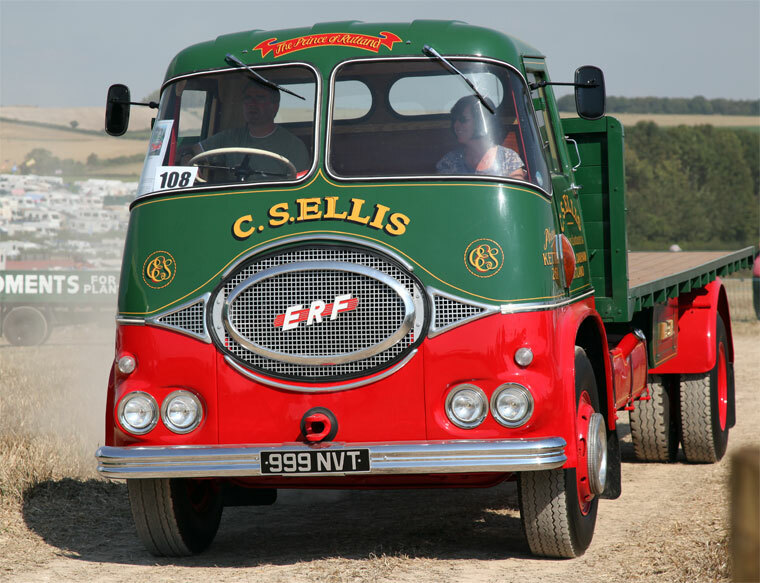 1933 The first ERF vehicle was a 6 ton type C14 which remained in production until 1946. 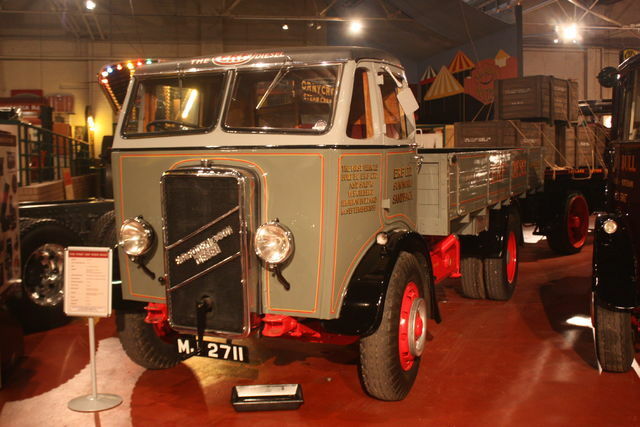 WWII Production of military lorries, mostly for the Royal Army Service Corps, with some vehicles for essential civilian users. 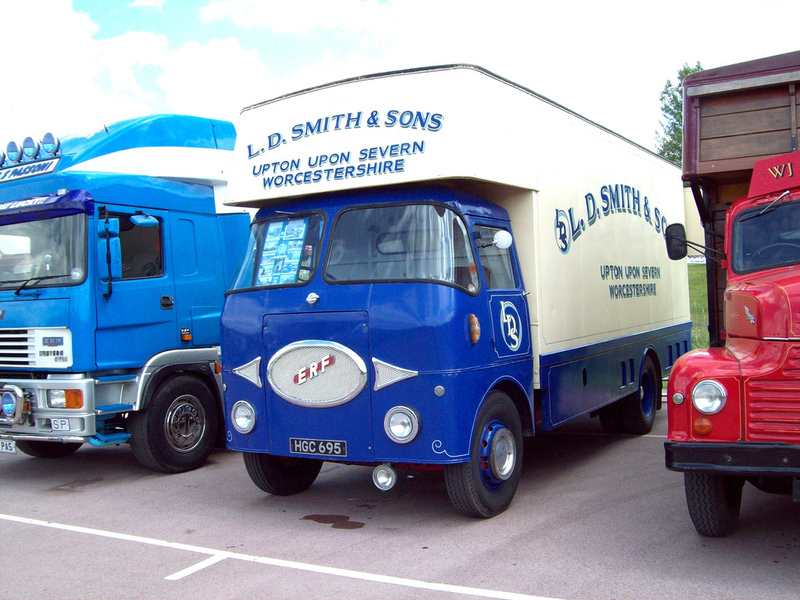 1961 The LV cab was introduced. 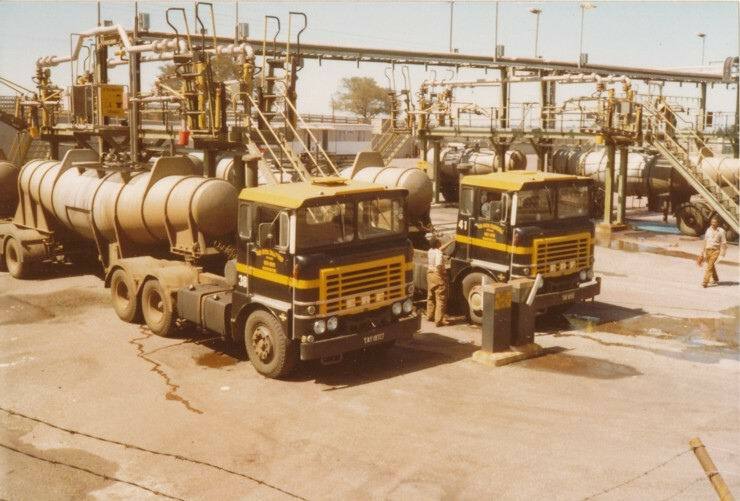 The company employed 315 persons. 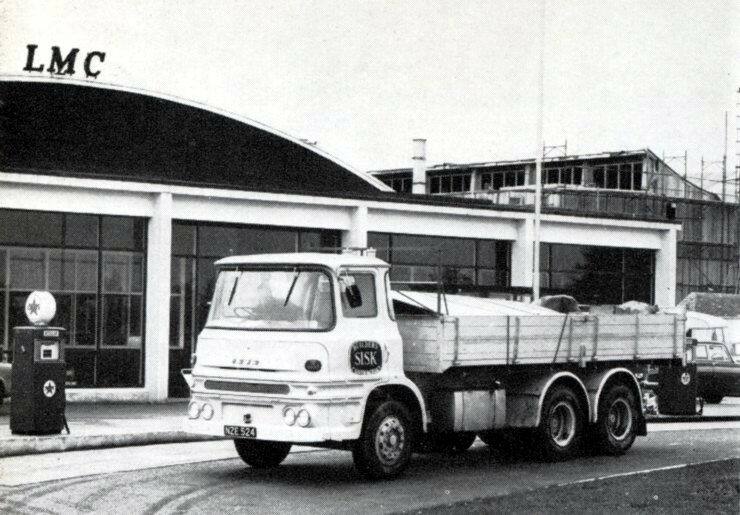 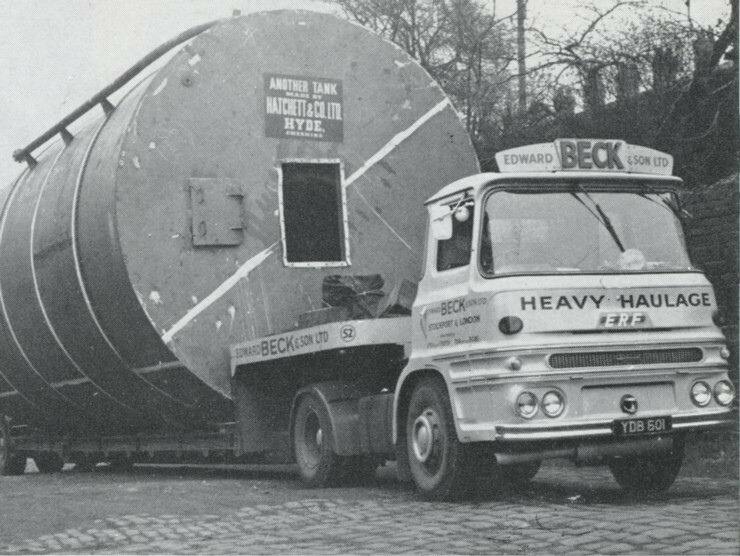 1961 Manufacturers of commercial motor vehicles. 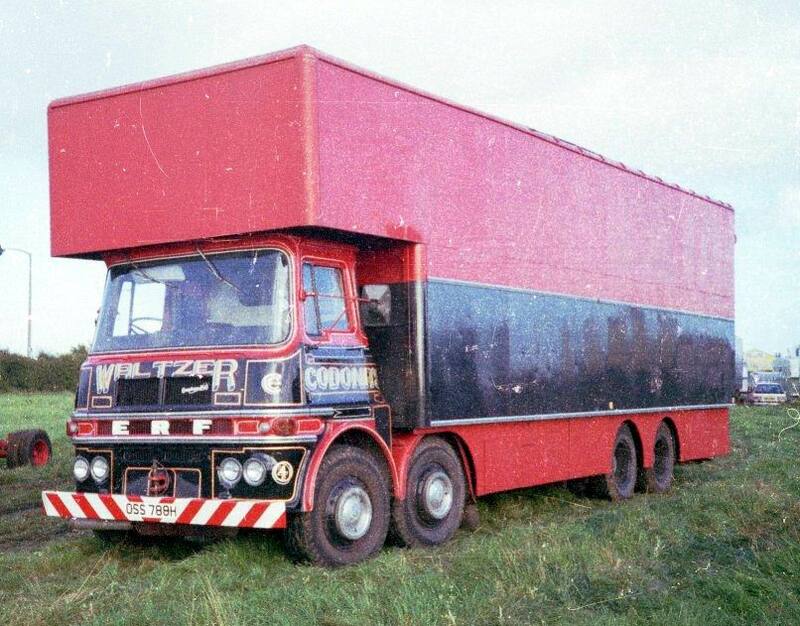 315 employees. 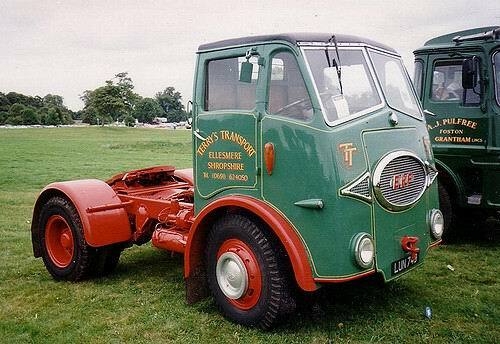 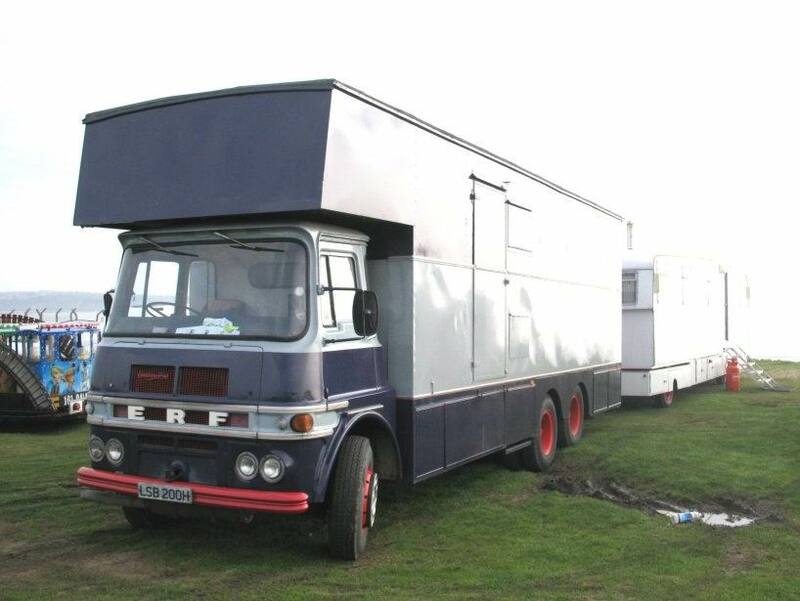 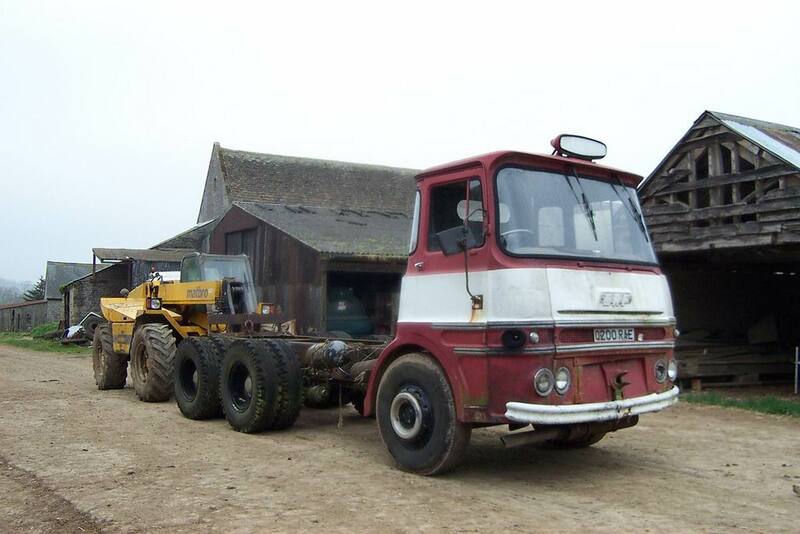 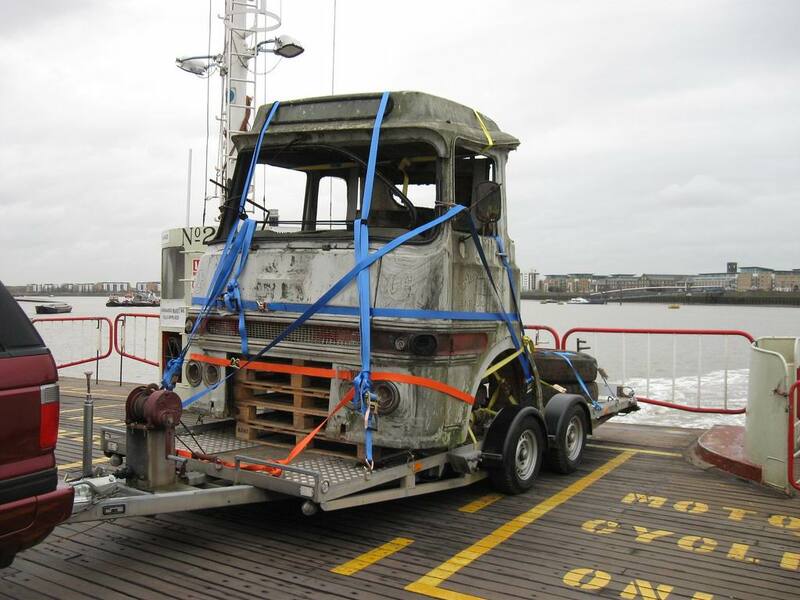 After a period of recuperation he returned to the development of a diesel lorry on his own account. 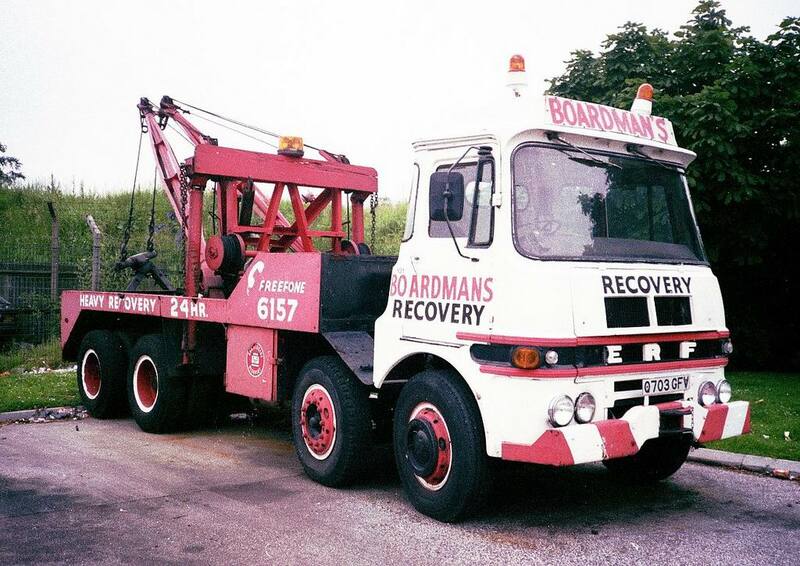 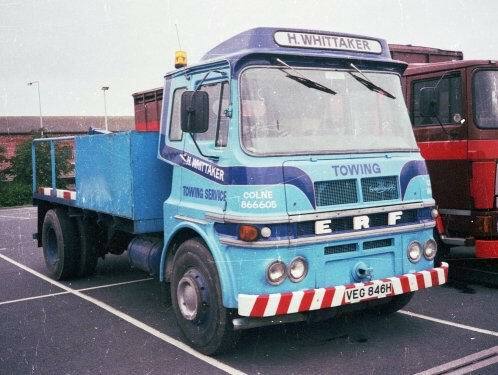 With the collaboration of his son Dennis, William’s son Ted, and several key figures dismissed by Fodens, Edwin went on to establish a rival concern, which became ERF Ltdits factory in Sandbach, Cheshire was closed in 2002, and it was discontinued as a marque by owner MAN AG in 2007. 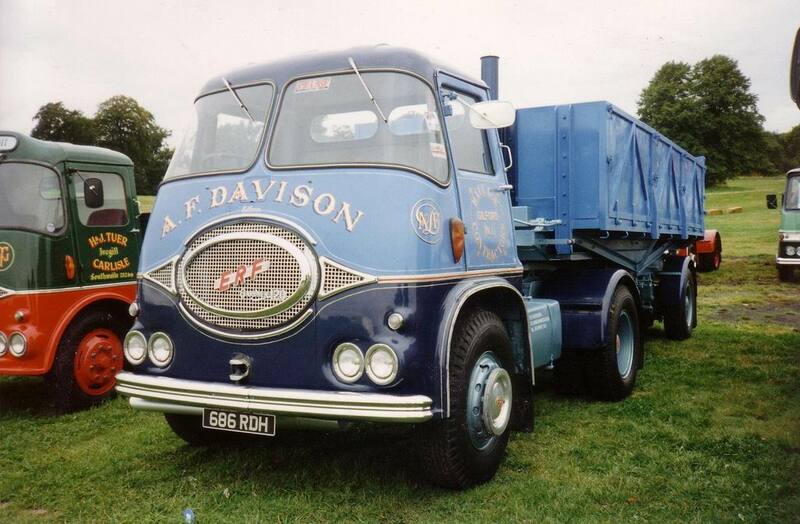 In 1881 the first Foden traction engine was built in Sandbach, Cheshire. 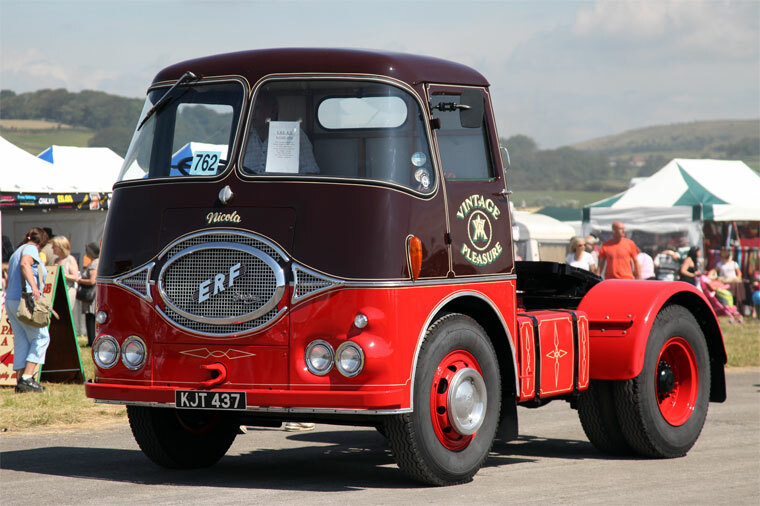 Then in 1898 Edwin Richard Foden influenced future truck design by designing the first steam wagon running on steel tyre wheels which had been successful until 1913 when vulcanised solid rubber tyre development had advanced to the stage of allowing their fitment on heavy vehicles. 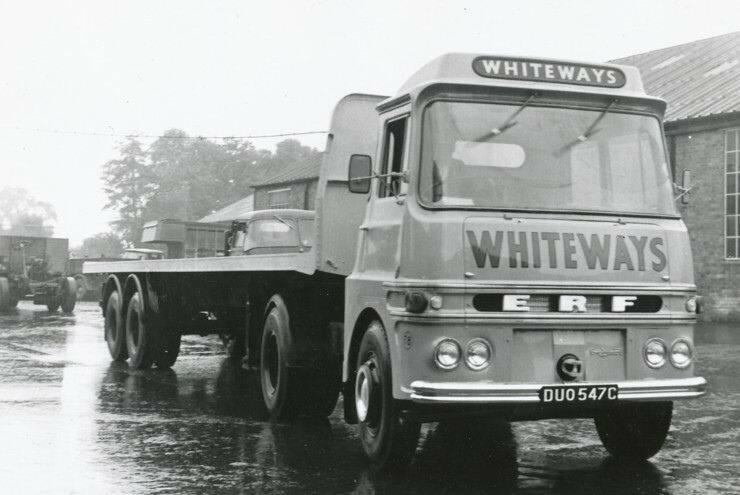 Edwin introduced the first pneumatic-tyred Foden steam wagon, but as steam transport appeared to be going out of favour, Edwin turned his attention to the development of a 6-8 ton chassis fitted with new Gardner LW (Light Weight) high speed oil-engine. 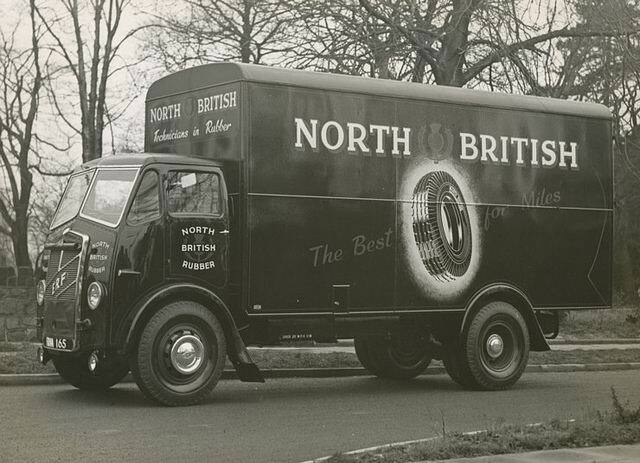 At the beginning of the 1930s, Britain’s industry was struggling to survive the worst recession in living memory and unemployment exceeded two million. 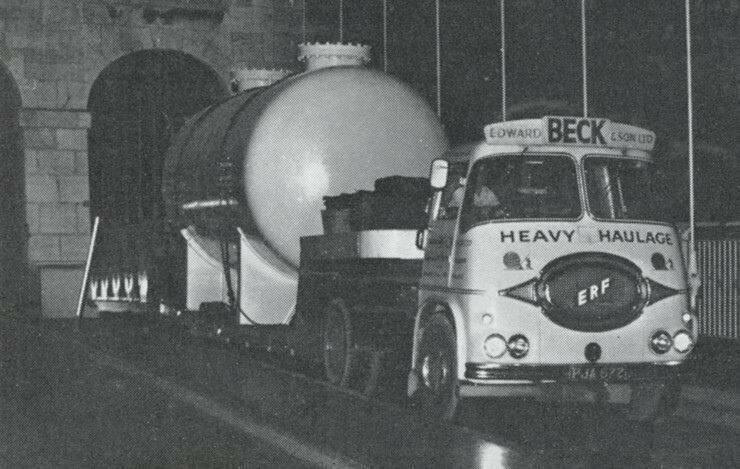 At this time insurers were becoming increasingly reluctant to underwrite steam boilers. 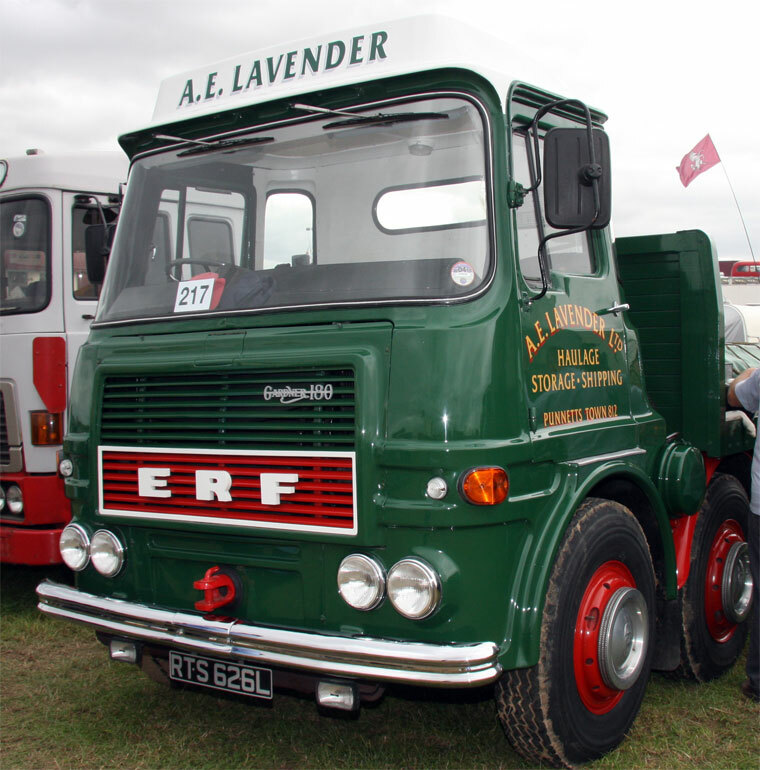 As a result, Edwin believed the future of the lorry building industry lay in Diesel engine power. 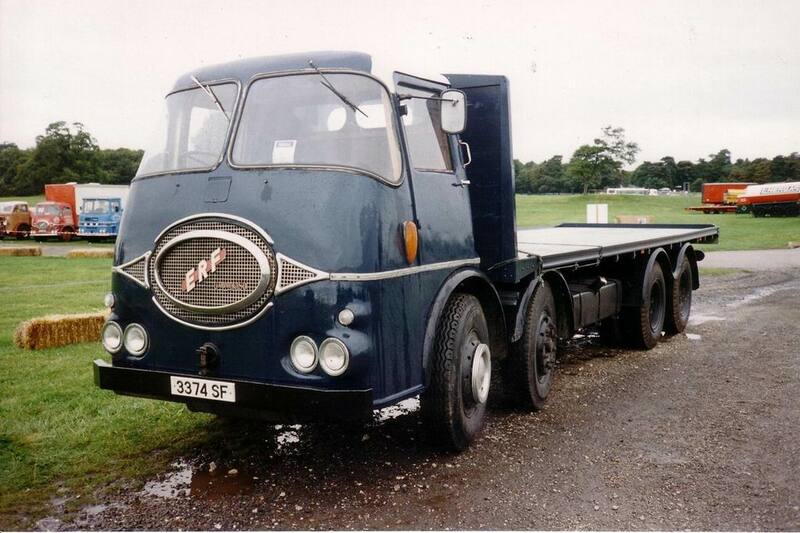 The Foden boardroom did not agree, and consequently he resigned along with his son Dennis. 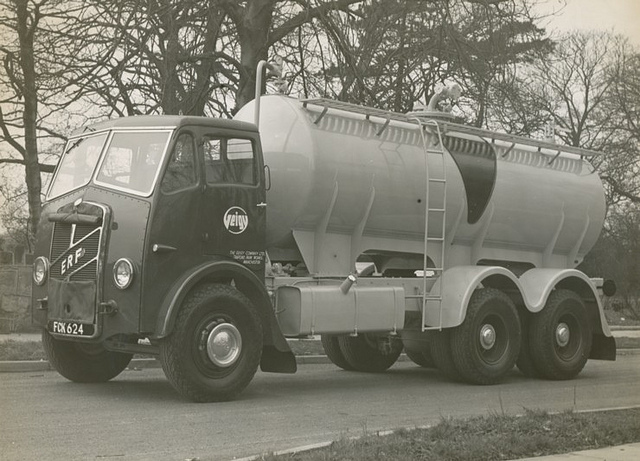 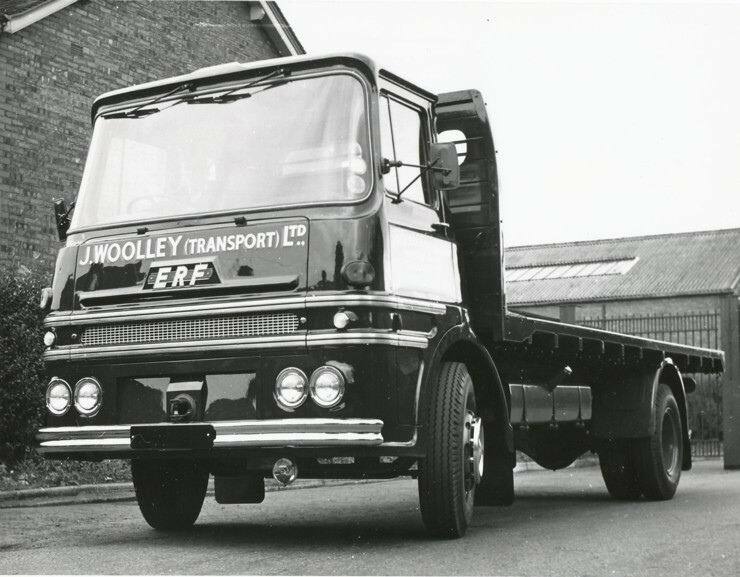 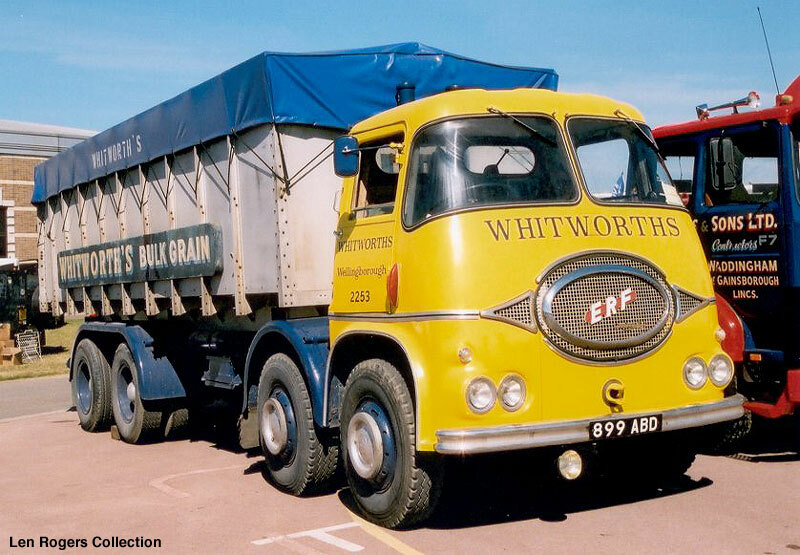 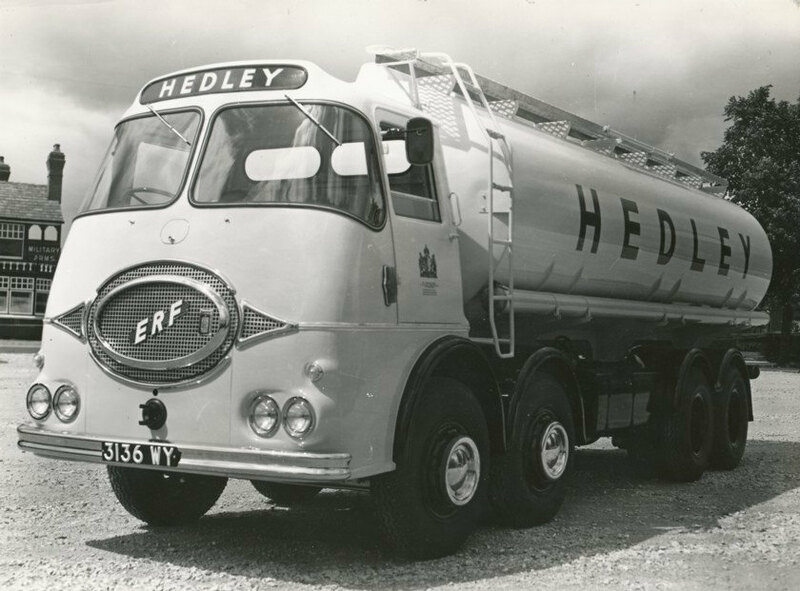 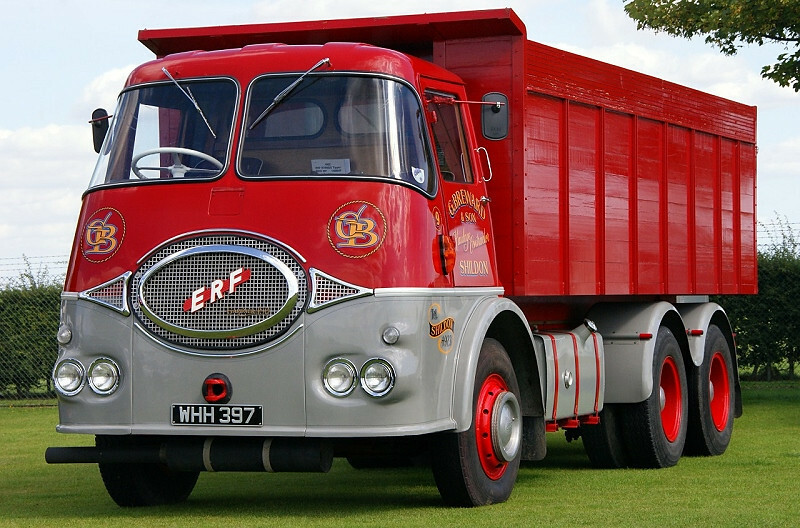 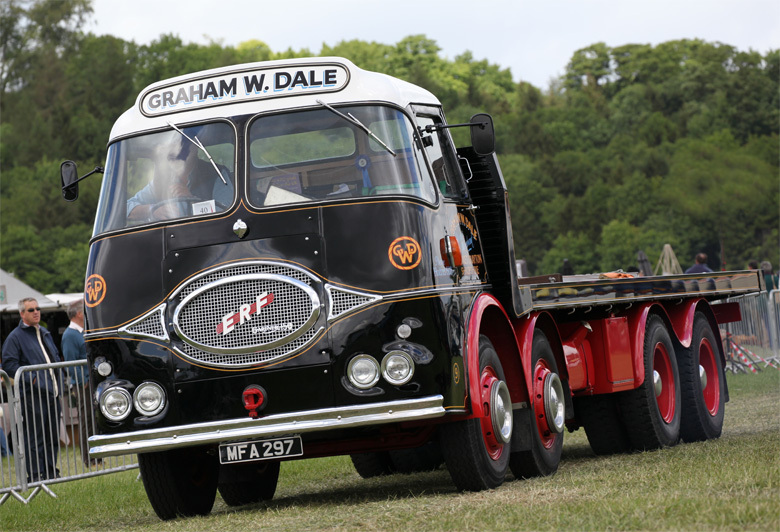 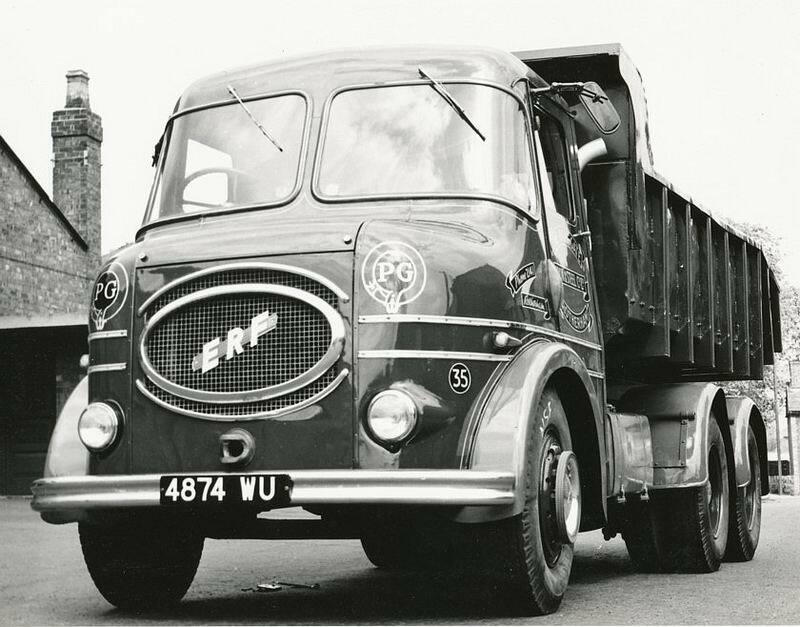 With the help of his son Dennis and two former colleagues, including Ernest Sherratt who became Chief Engineer, Edwin worked to build the first ERF diesel lorry in 1933 and gave the first chassis the number 63 which was Edwin’s age. 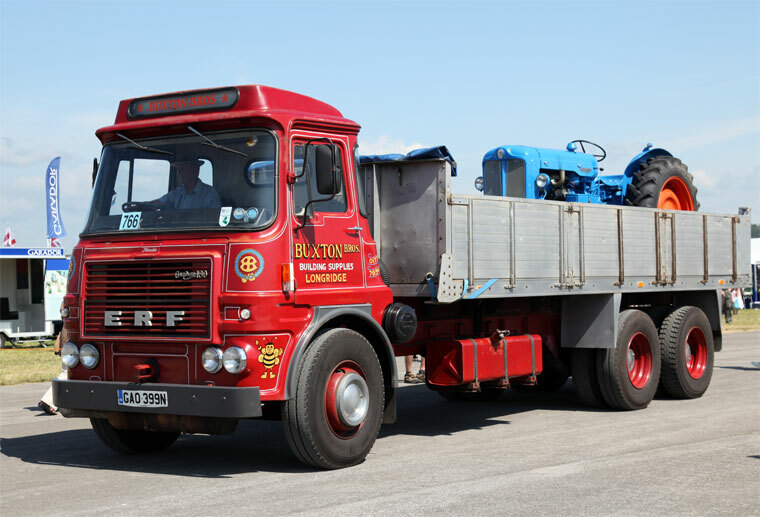 Fromm the beginning the company only bought in the best components available, including engines from Gardner, gearboxes from David Brown and axles from Kirkstall Forge, rather than making everything in house. 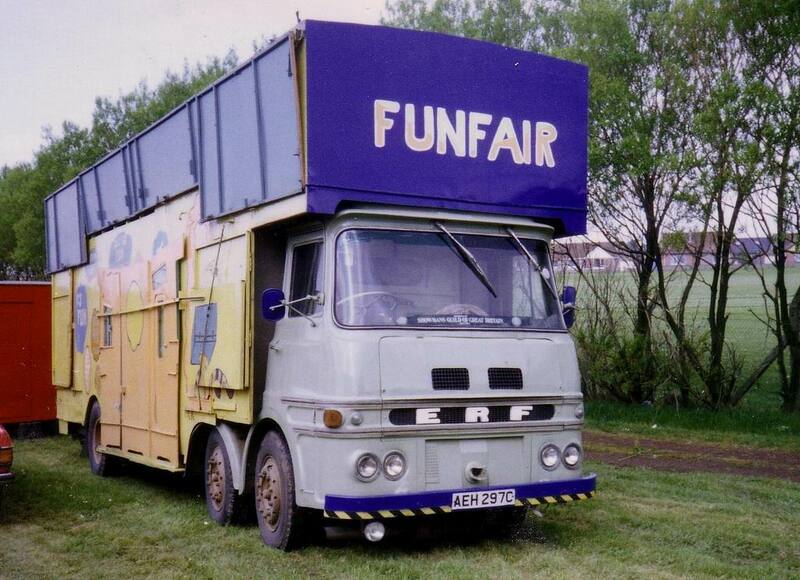 This concept would serve ERF well throughout its existence. 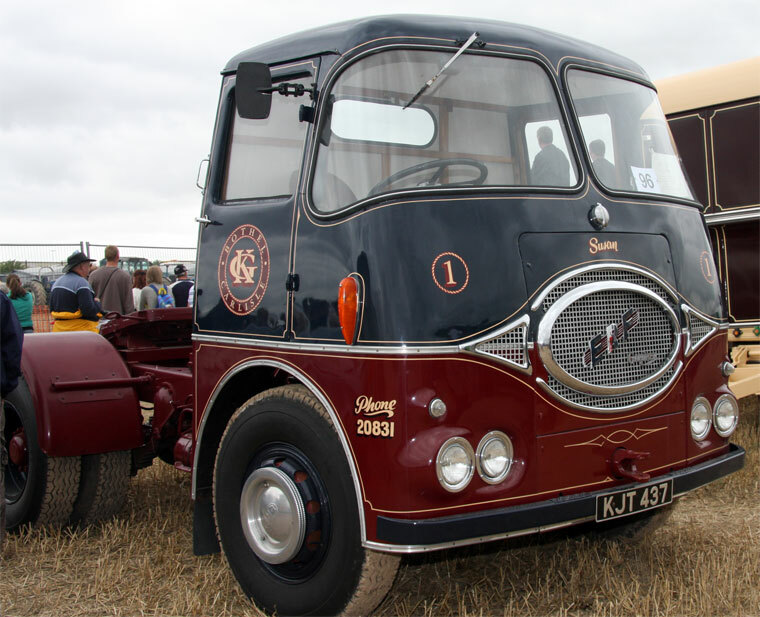 A new and striking cab was styled by Sandbach coachbuilder John Henry Jennings, who also provided initial factory space to assemble the new lorry. 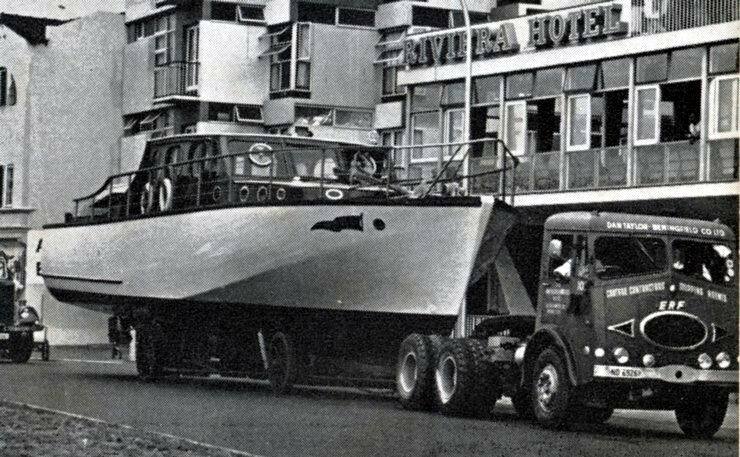 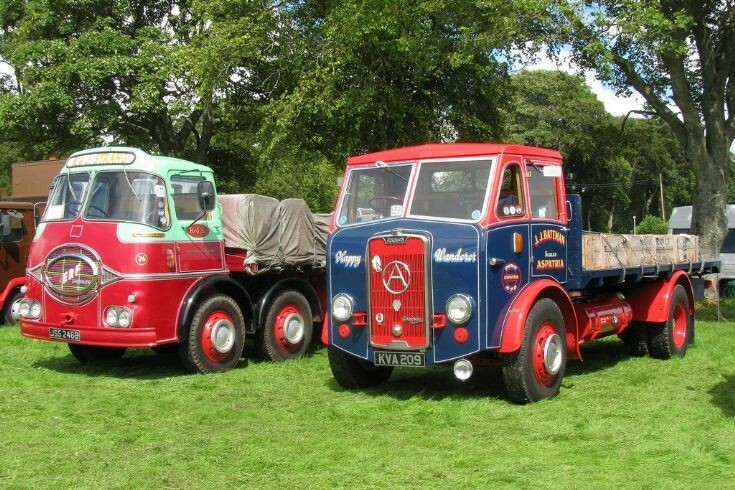 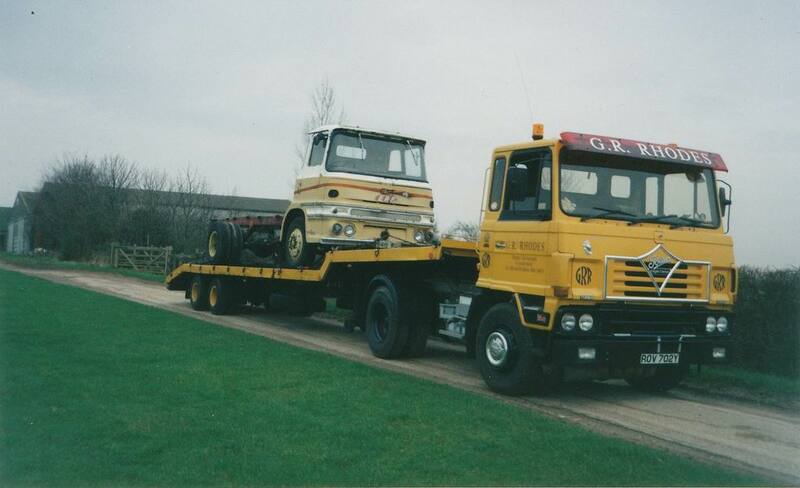 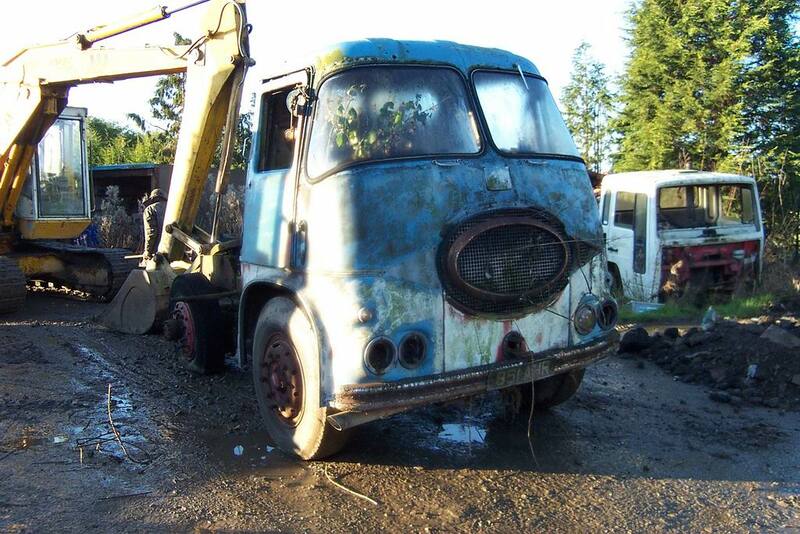 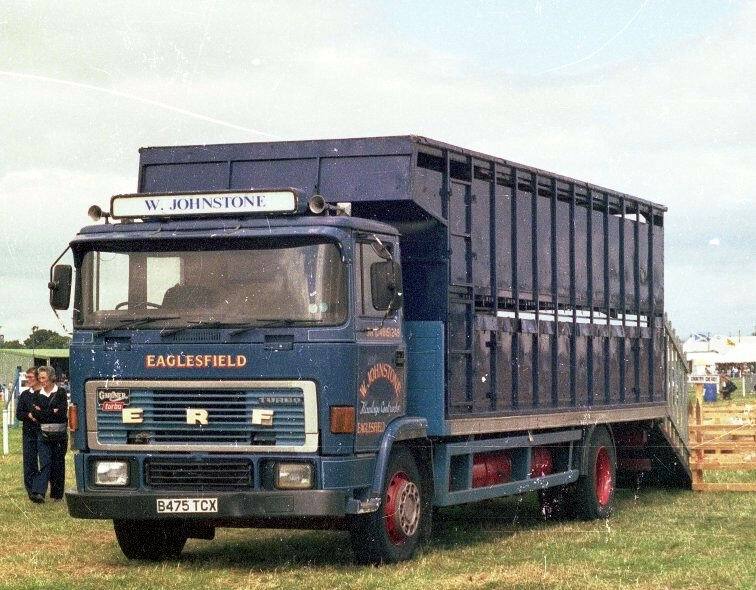 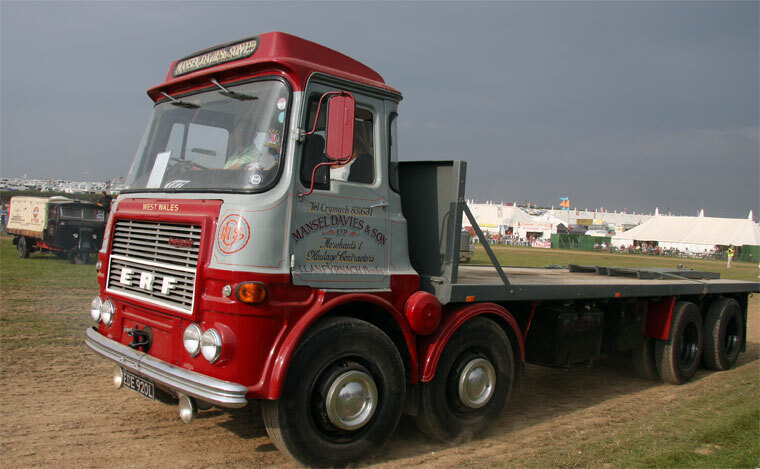 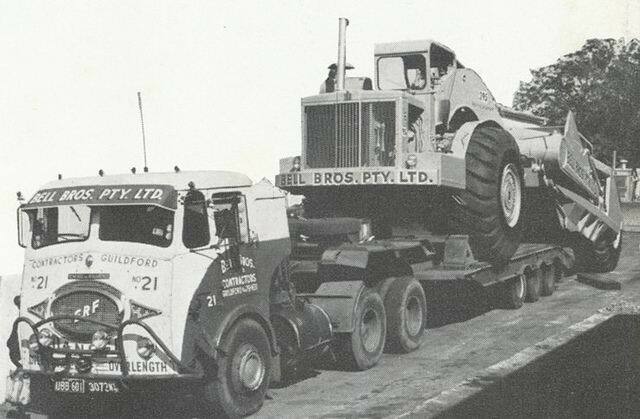 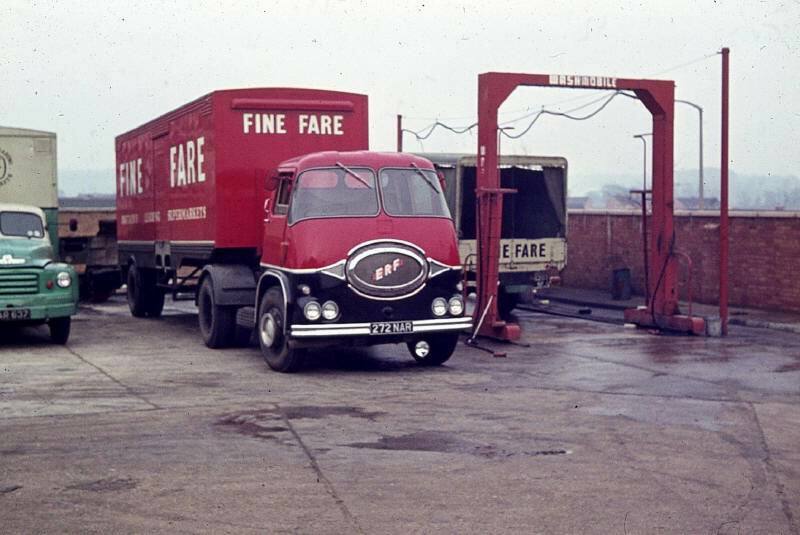 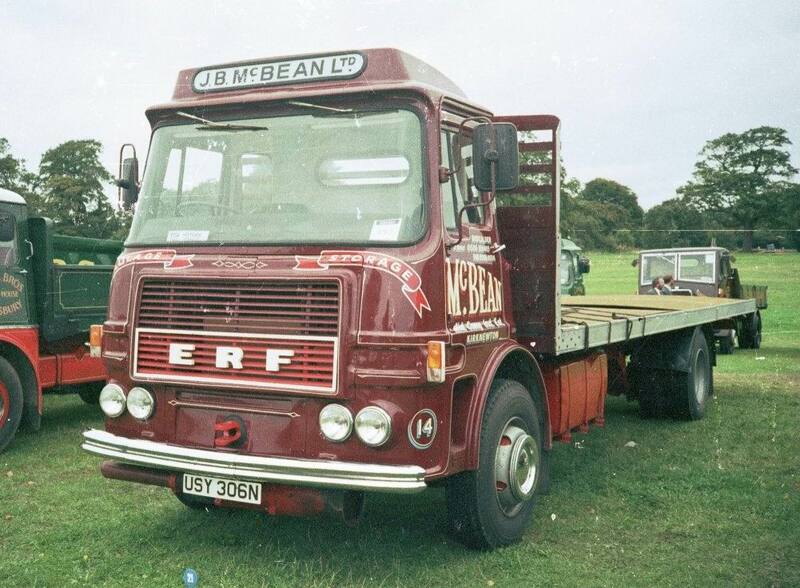 Based in Sandbach, Cheshire, the company made their own chassis and cabs, originally with engines from Gardner, but later also Cummins, Perkins, Detroit Diesel and Caterpillar Inc..
ERFs used to be marketed under the Western Star badge in some countries such as Australia. 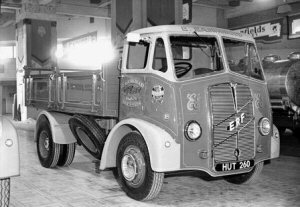 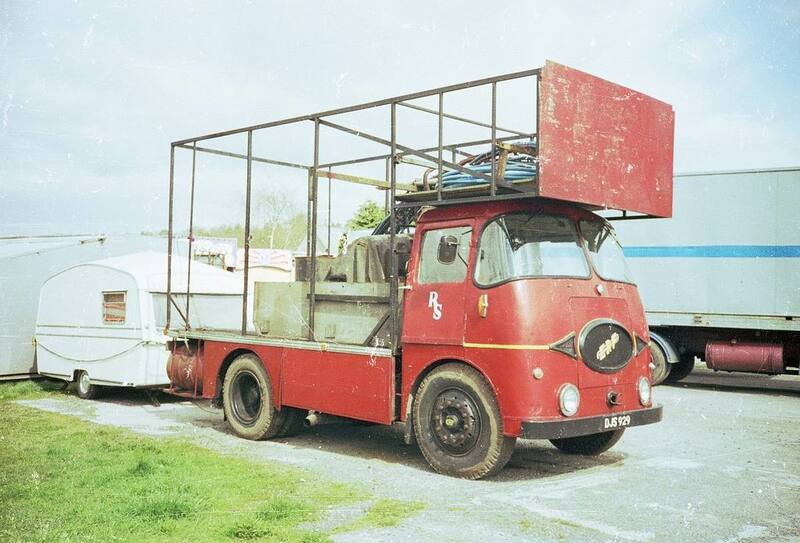 It also built a specialist fire engine chassis, with a body built on by in-house company JH Jennings, later Cheshire Fire Engineering. 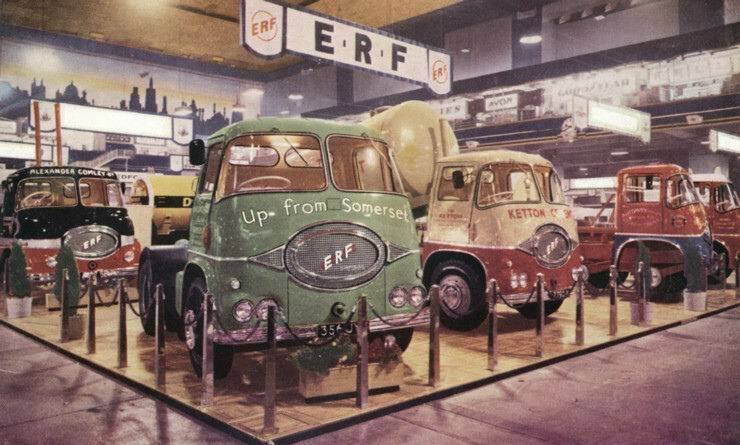 However, when recession came in the early 1980s and production fell from a total output of 4,000 chassis per annum, CFE was sold to management to eventually become Saxon Sanbec. 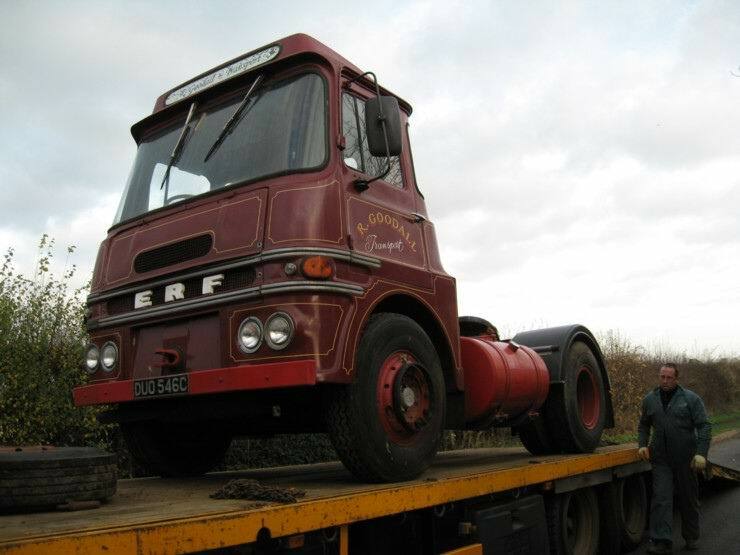 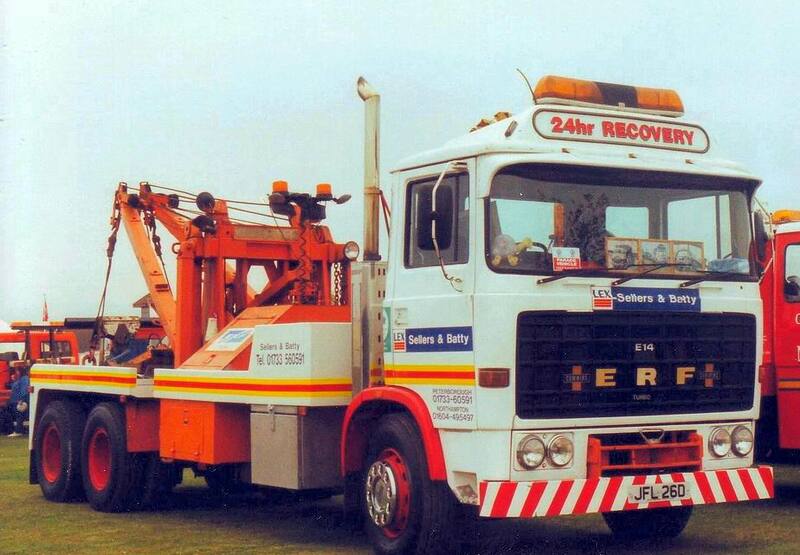 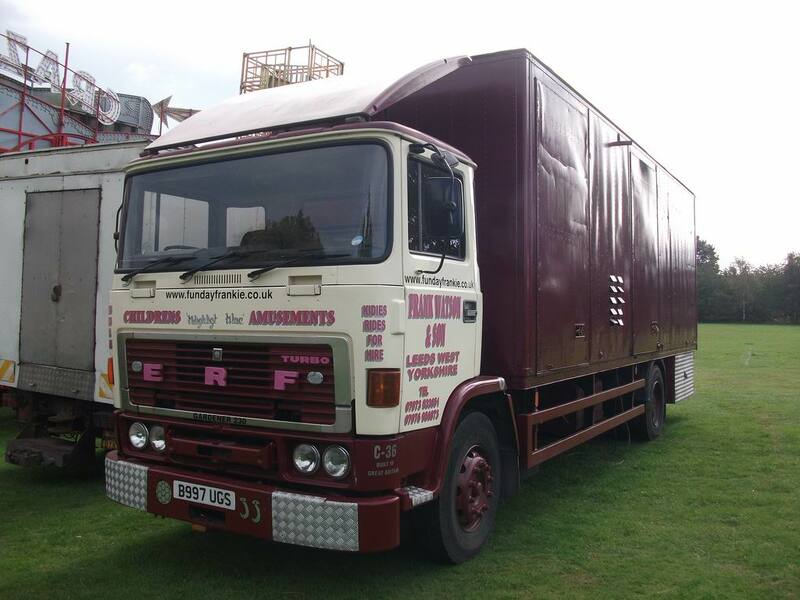 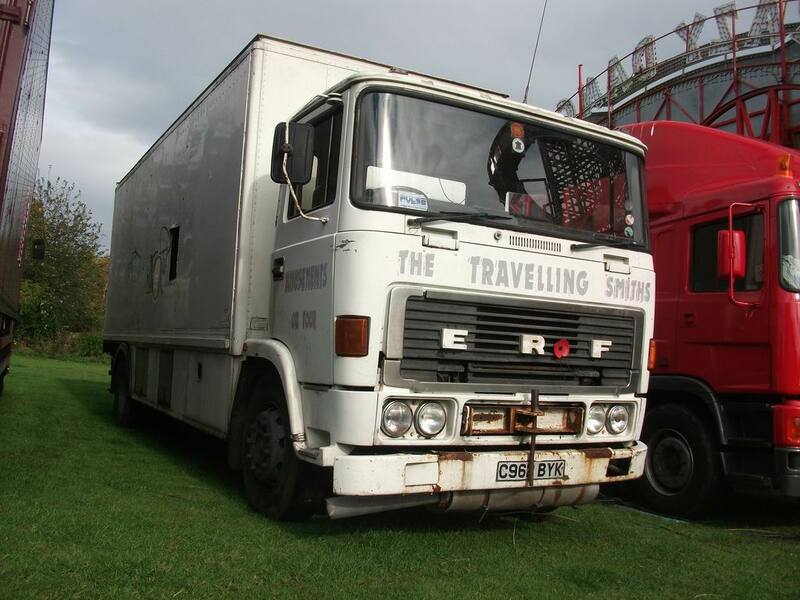 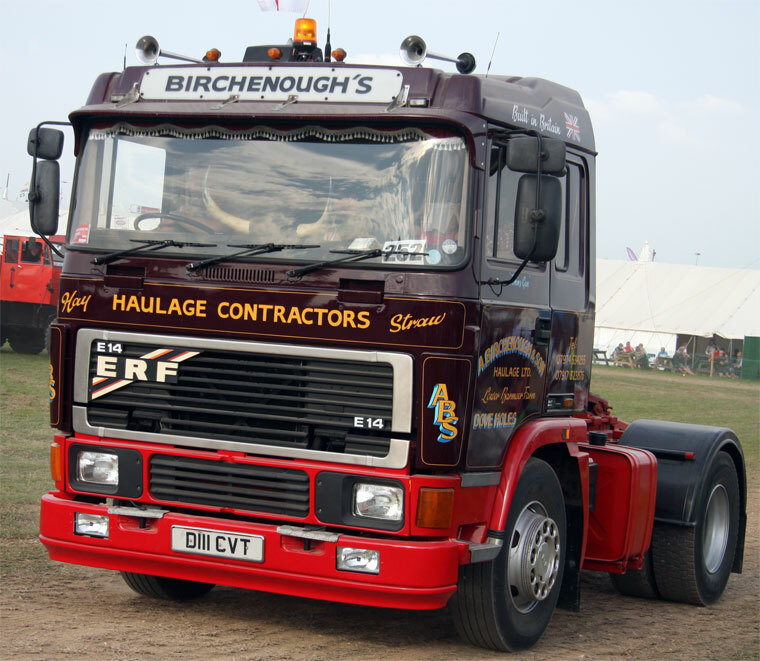 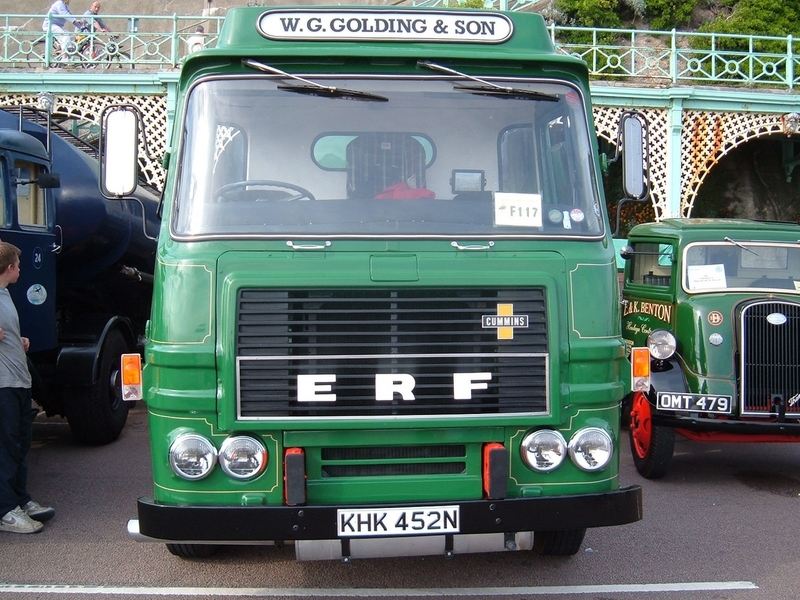 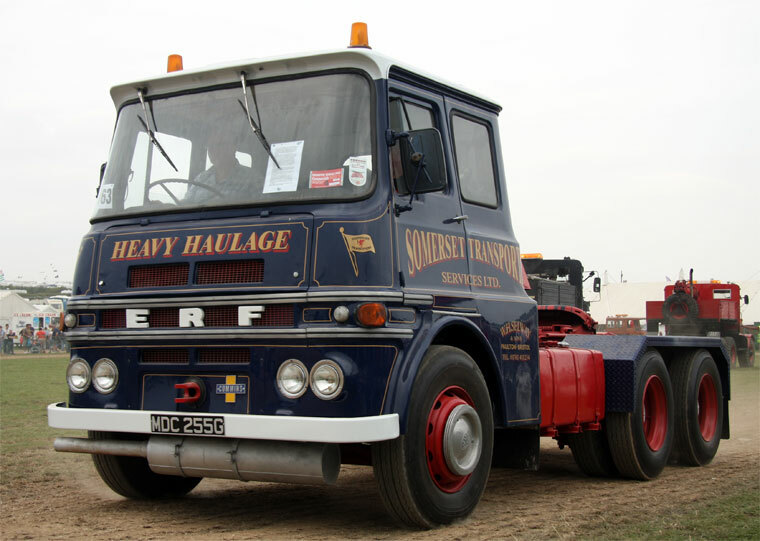 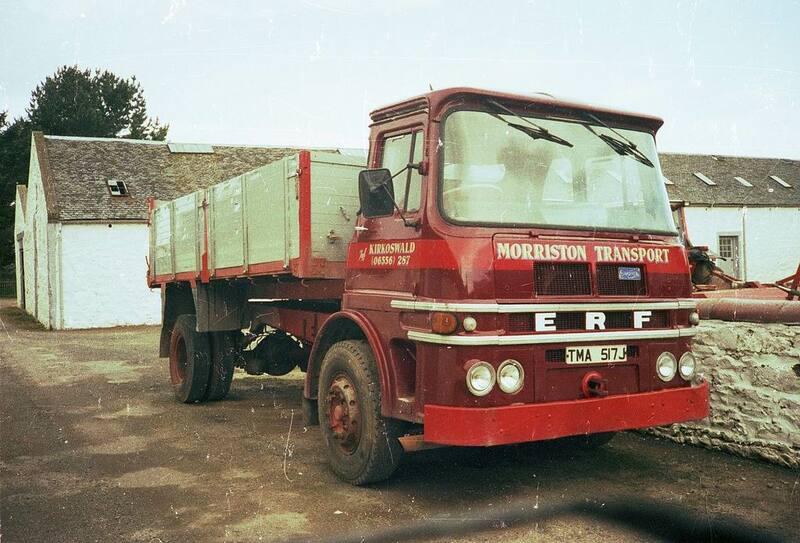 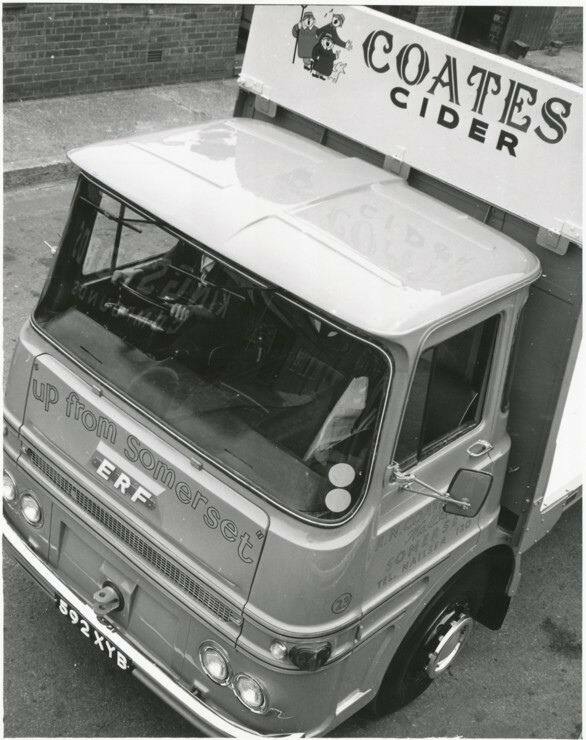 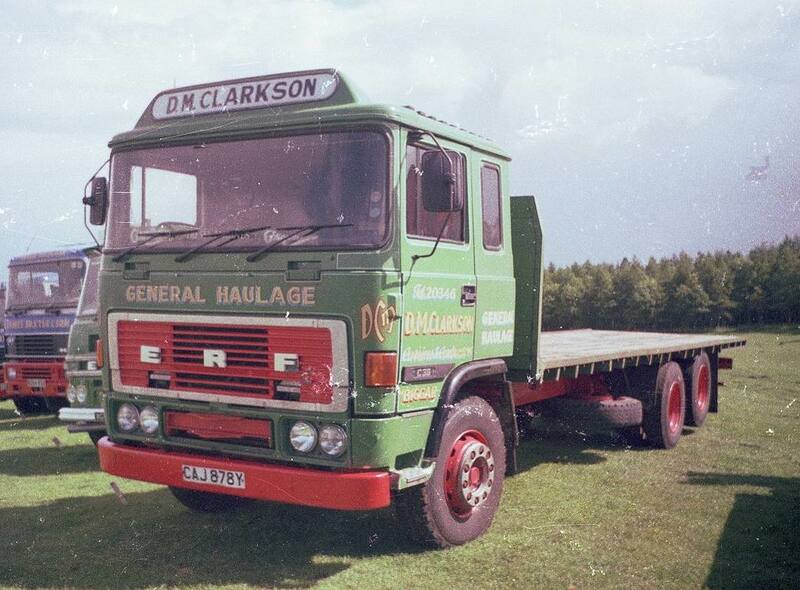 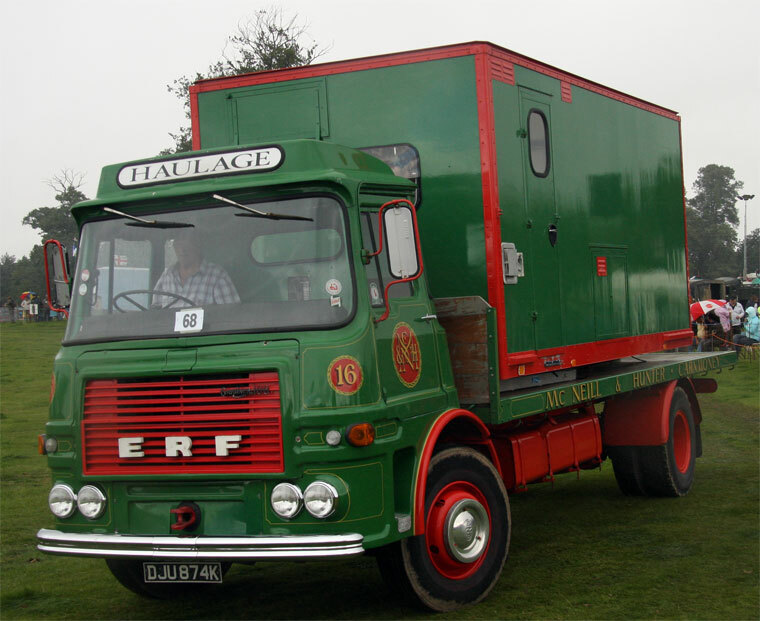 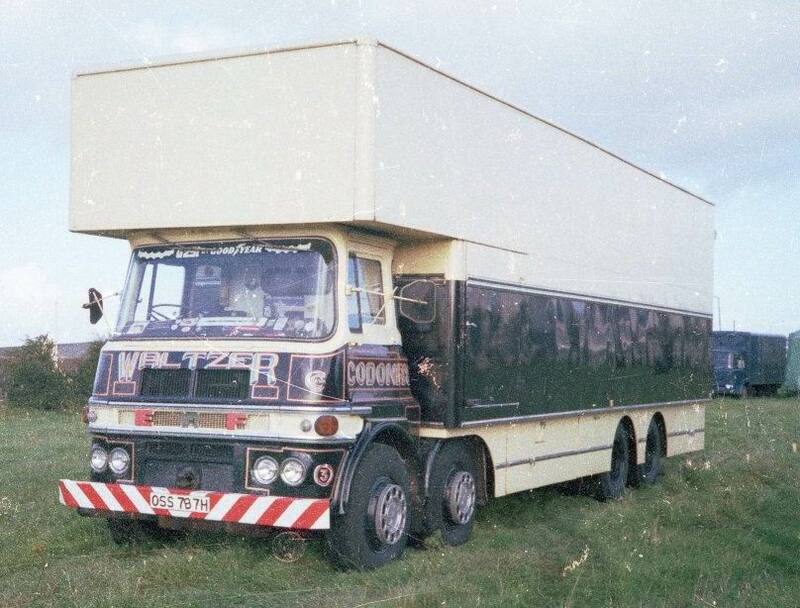 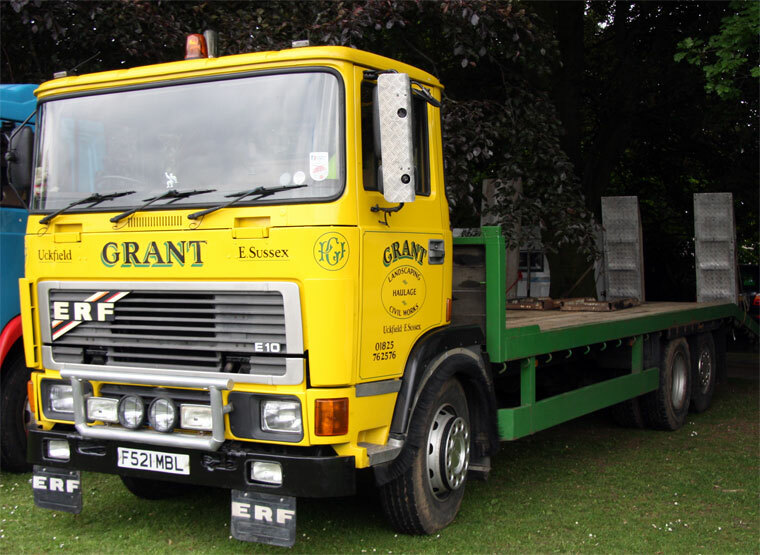 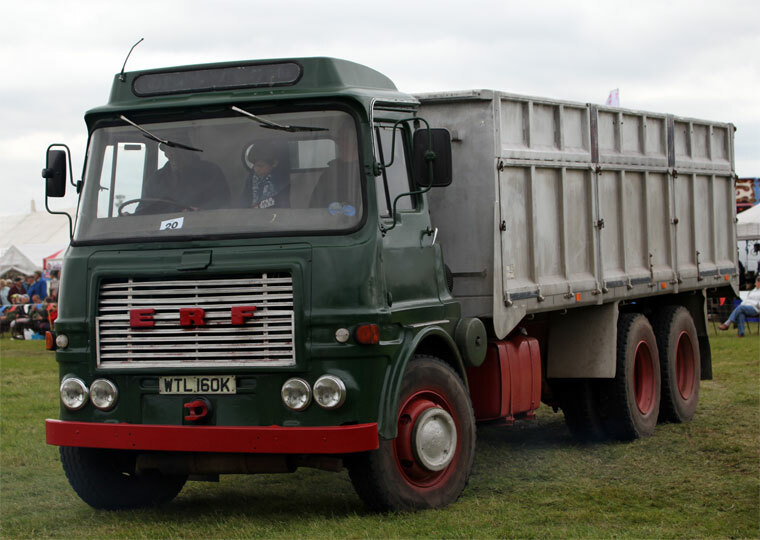 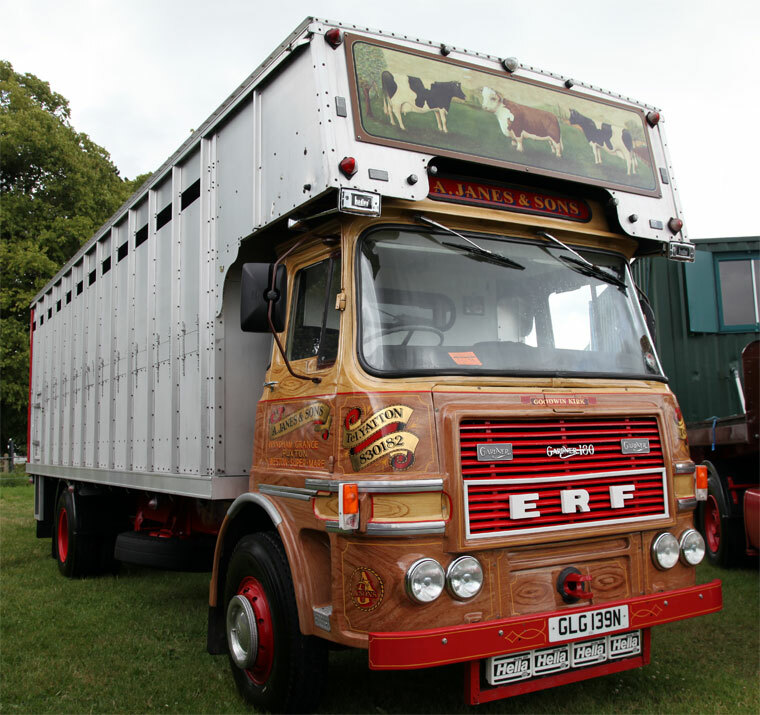 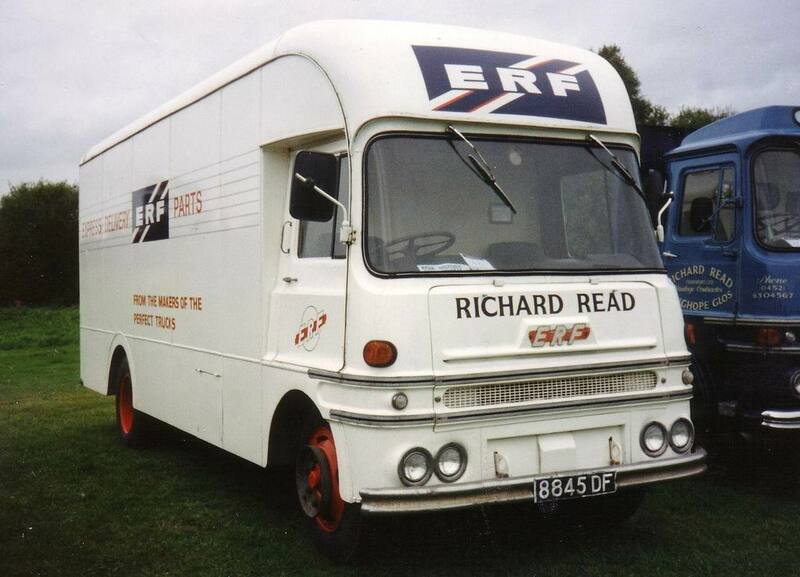 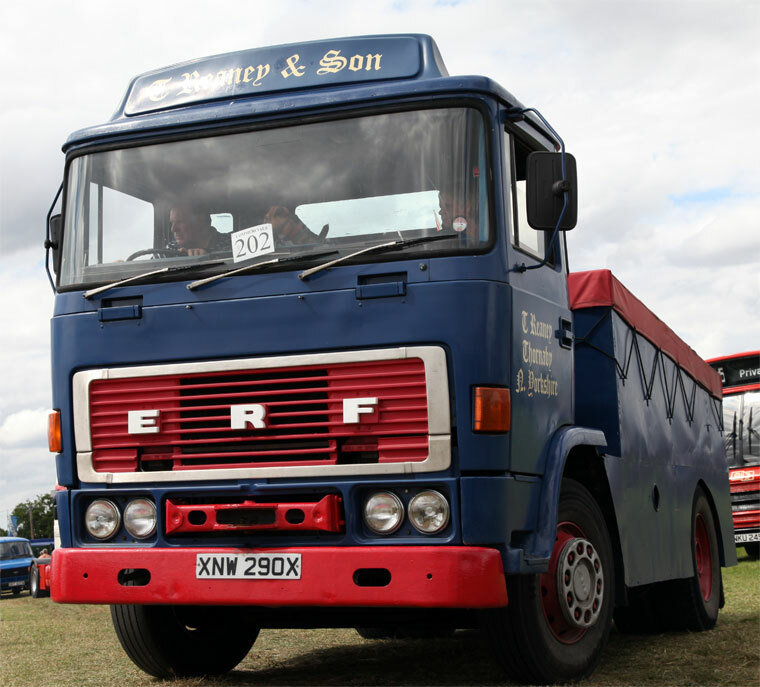 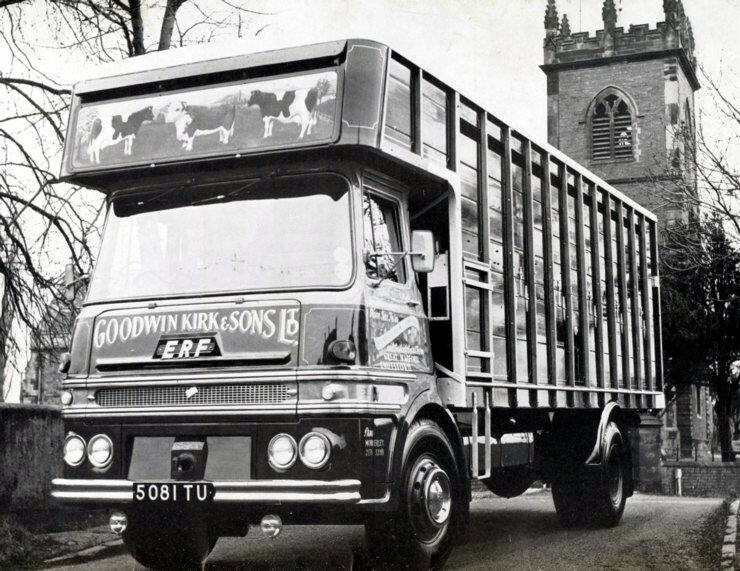 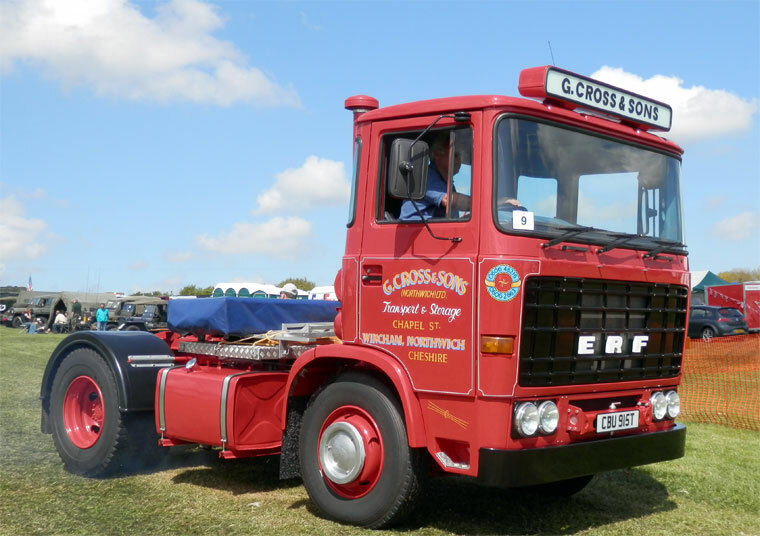 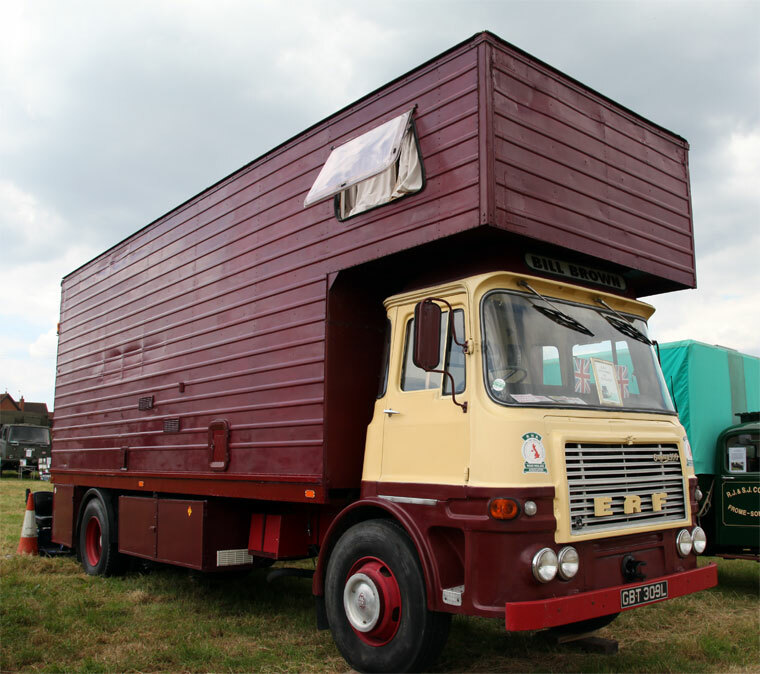 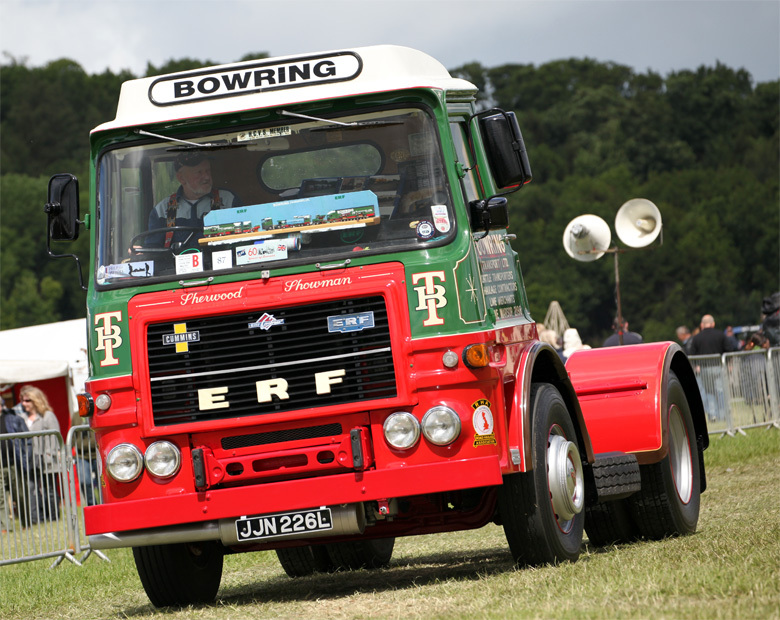 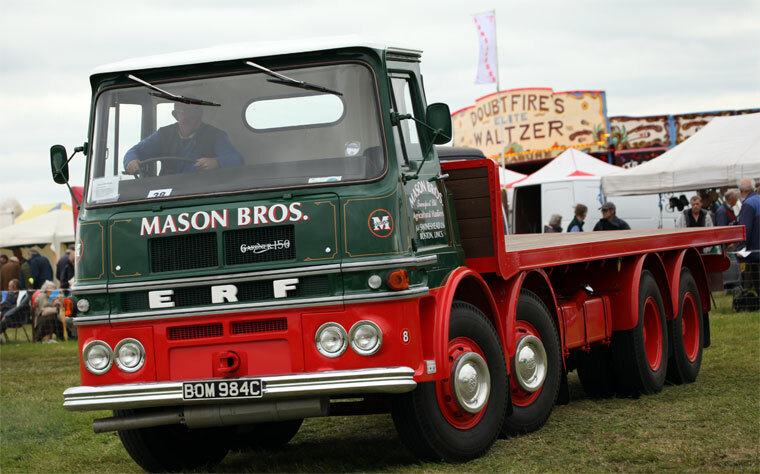 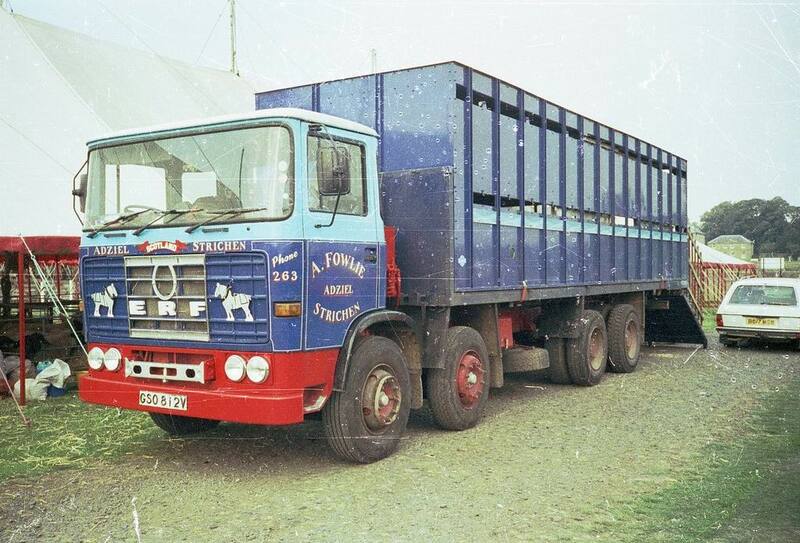 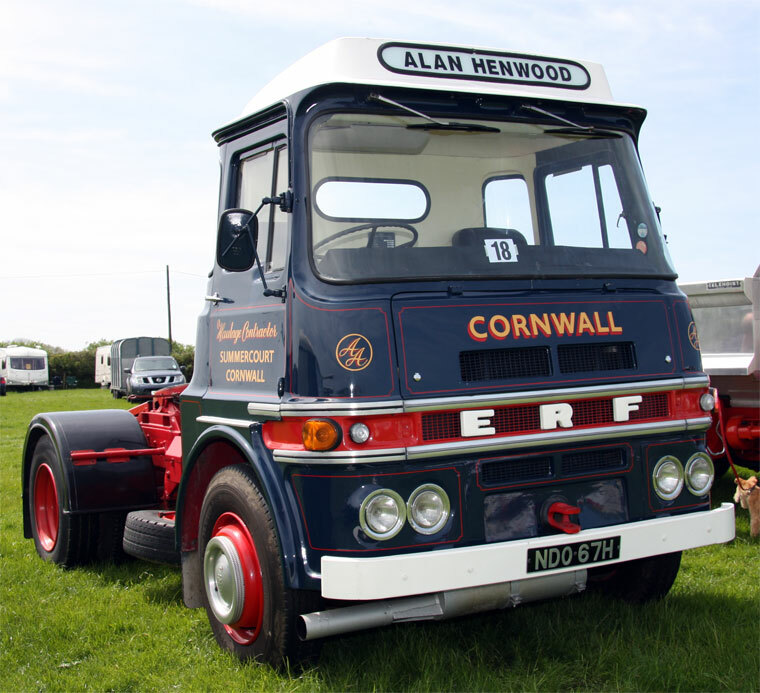 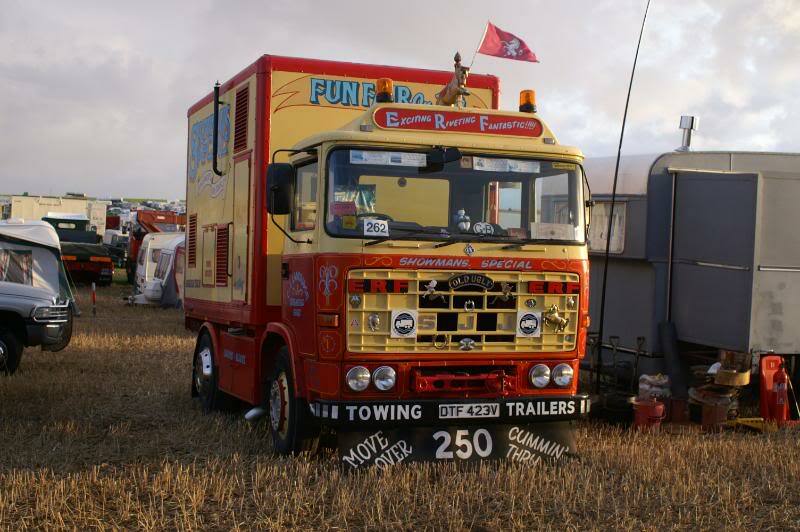 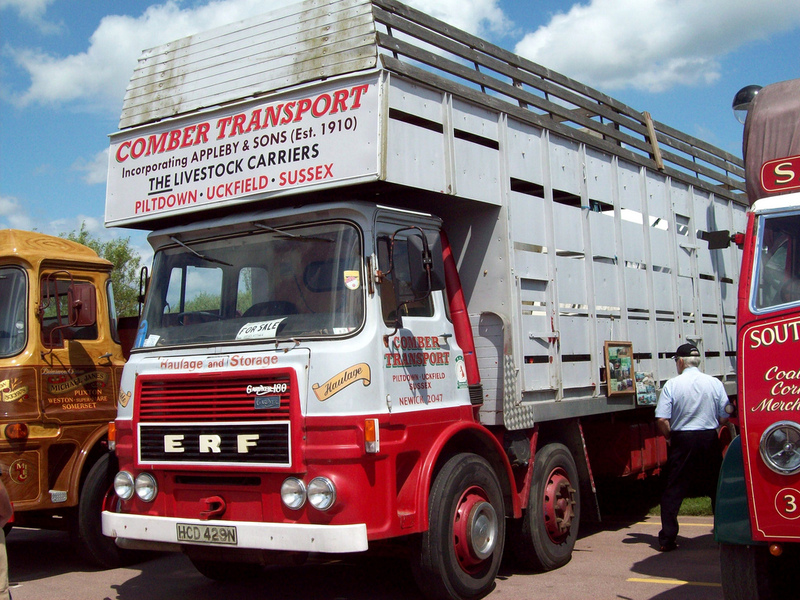 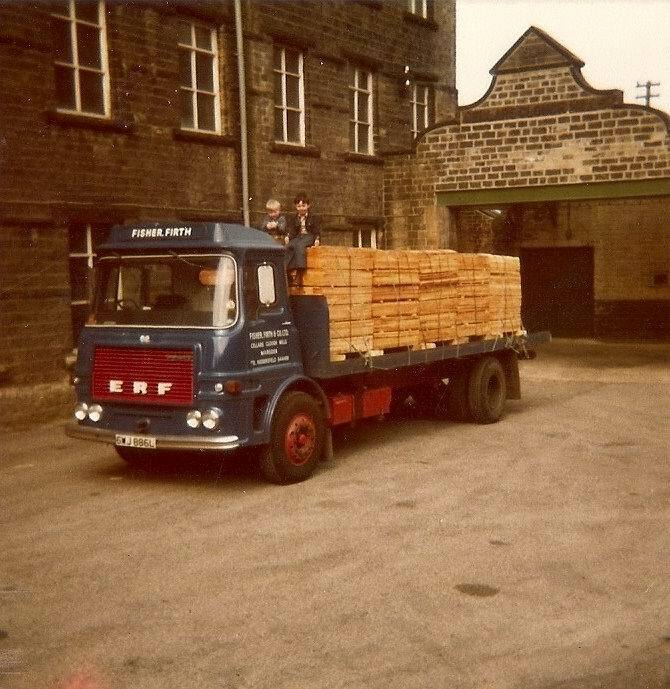 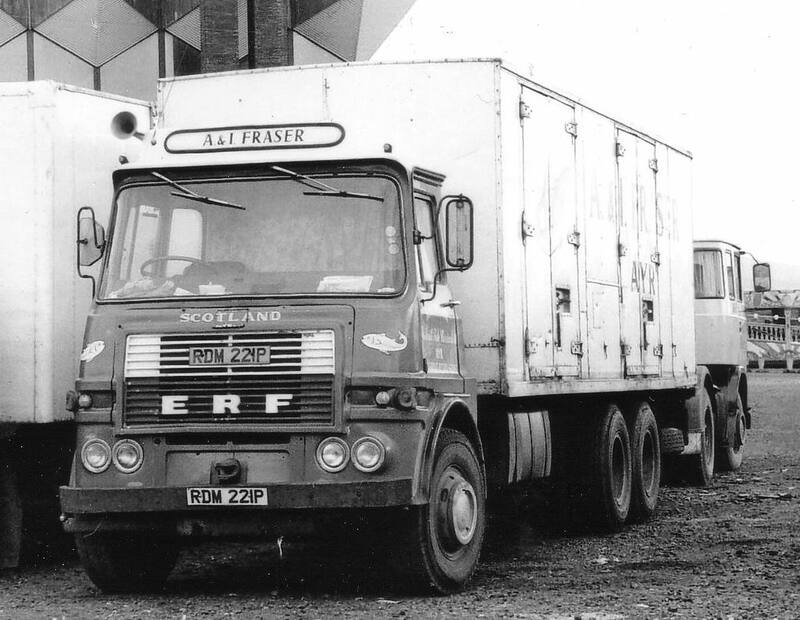 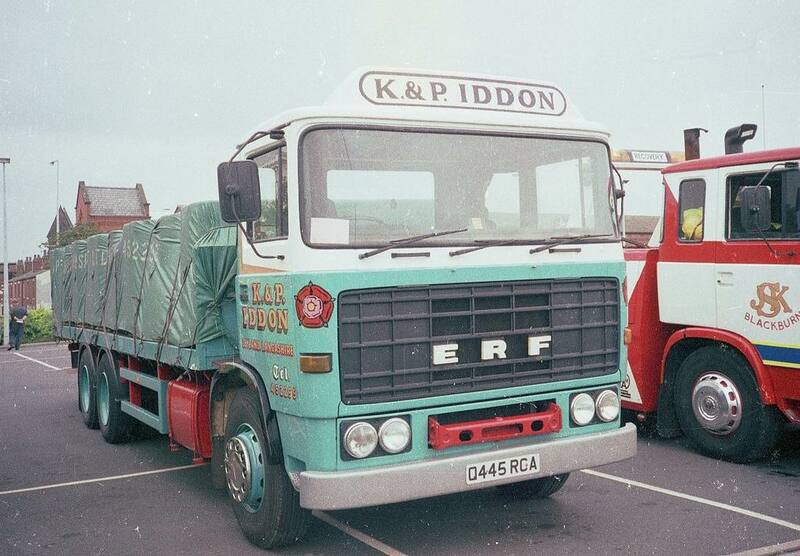 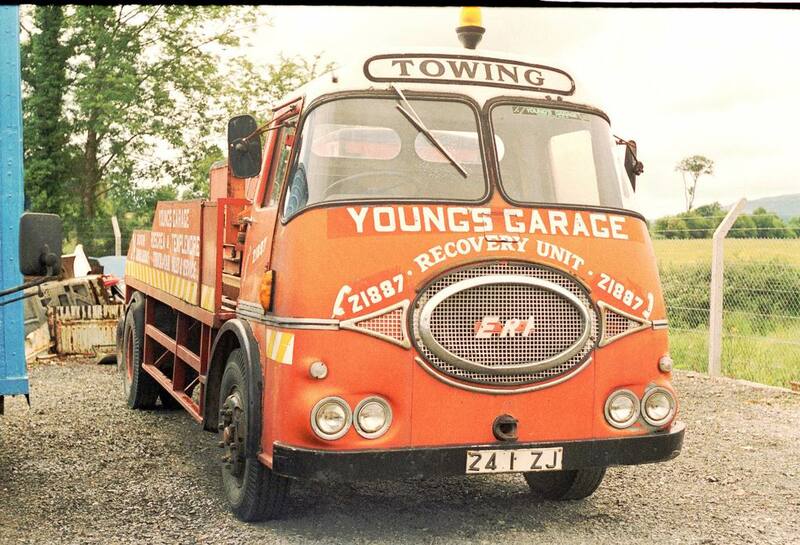 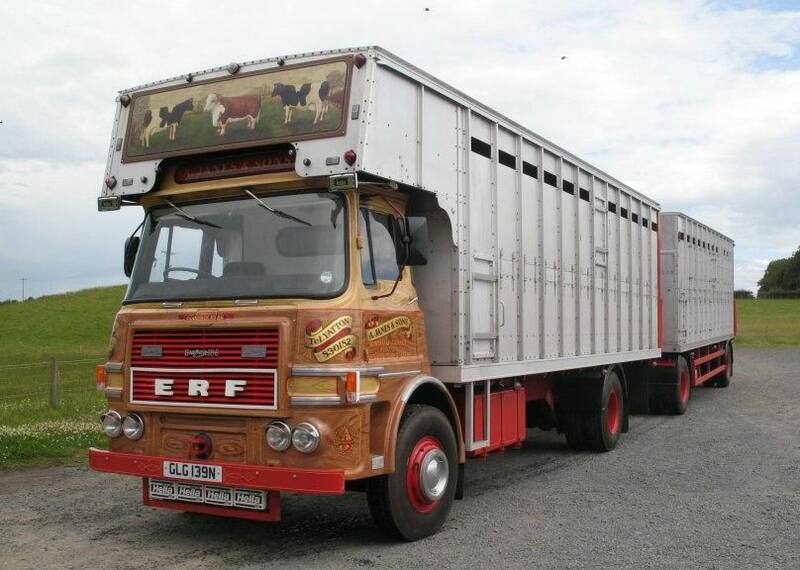 ERF was never a major manufacturer; as an example their domestic sales total only reached 1,083 trucks in 1981. 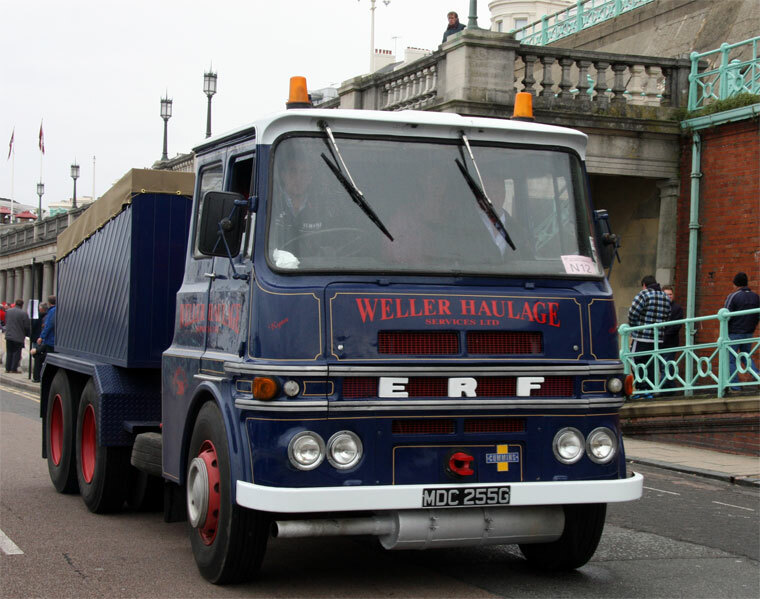 The company was bought by Canadian truck maker Western Star in 1996. 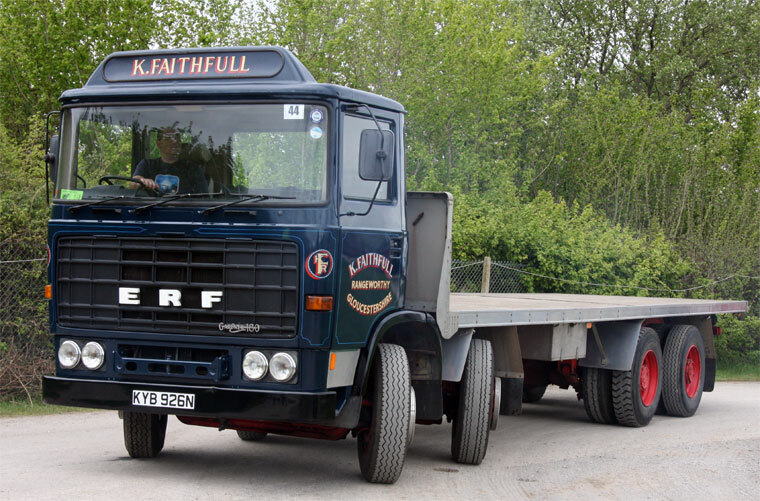 However, after PACCAR‘s purchase of Foden, DAF Trucks and Leyland Trucks increased competitive pressure, and Western Star was approached by Freightliner Trucks corporation, the decision was made to sell ERF. 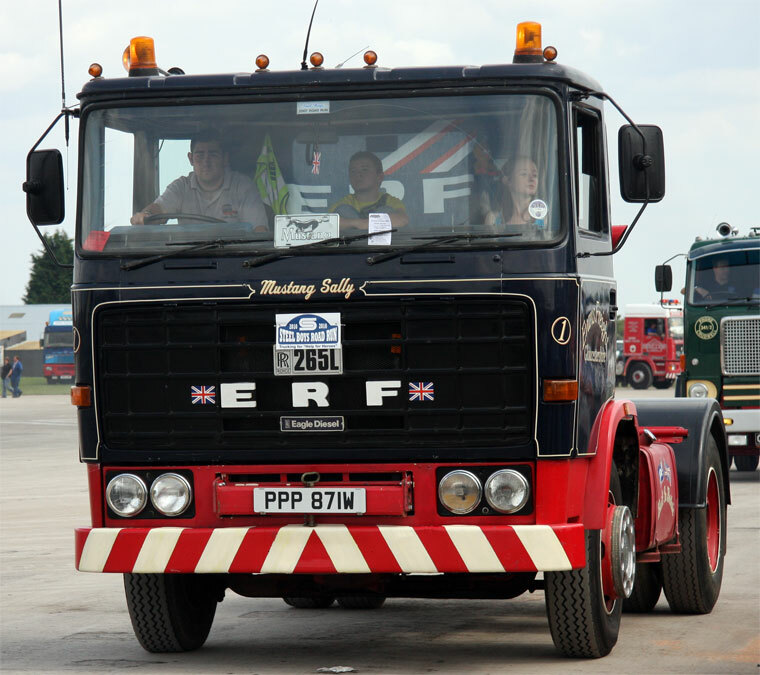 In 2000, ERF became part of MAN AG. 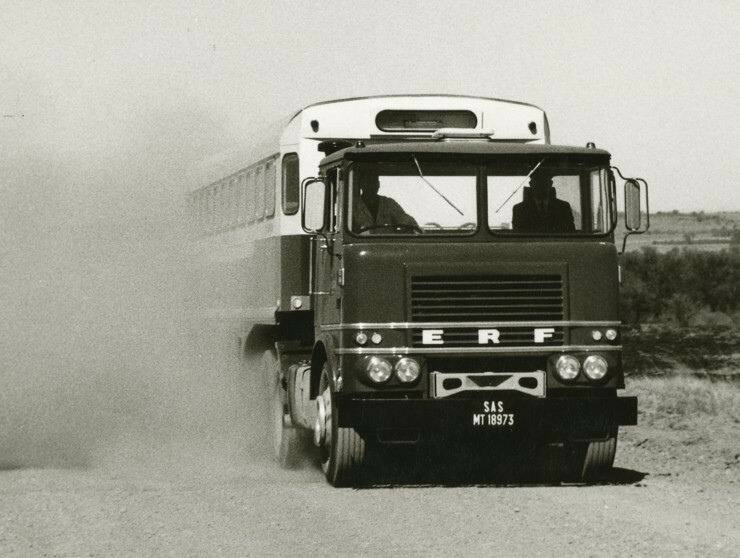 Freightliner tried to sue Western Star and ERF’s former auditors, but failed on the grounds of corporate negligence. 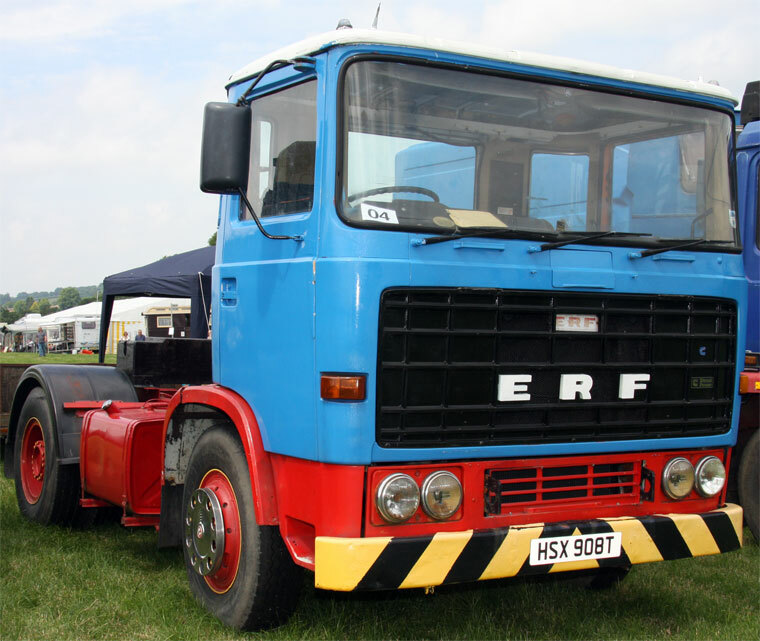 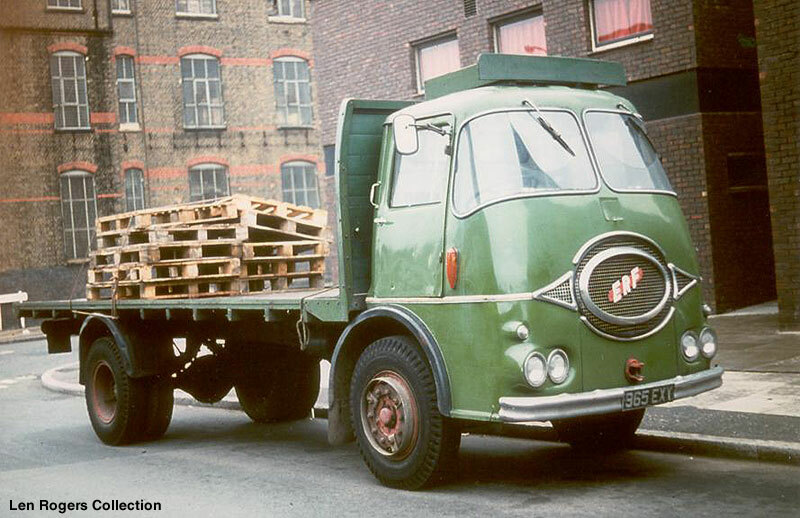 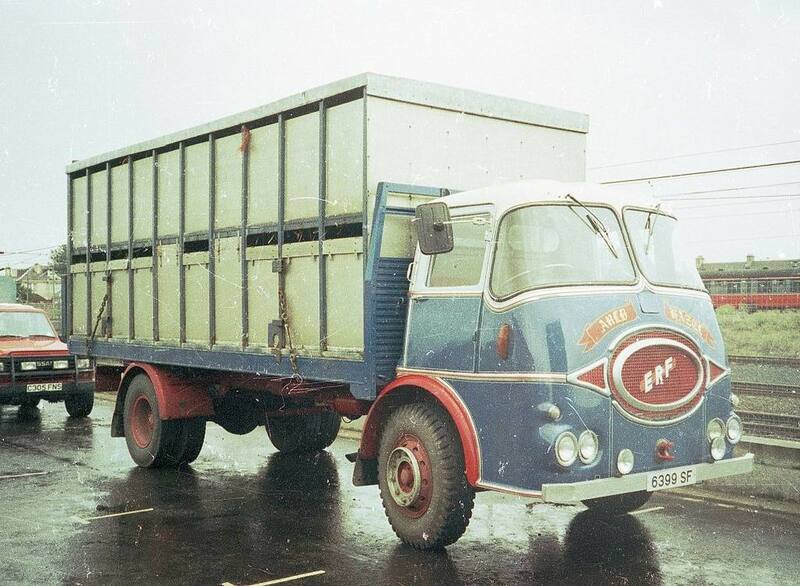 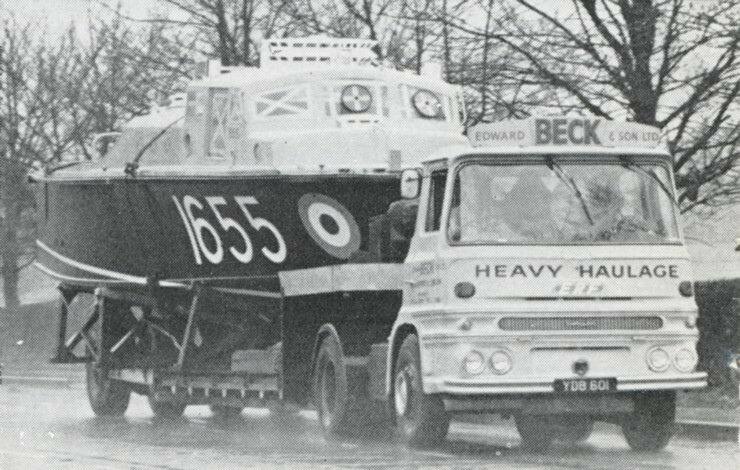 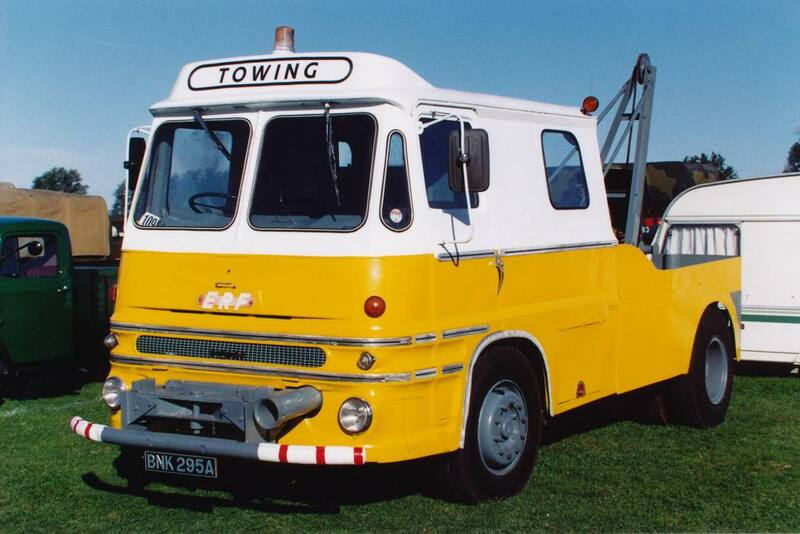 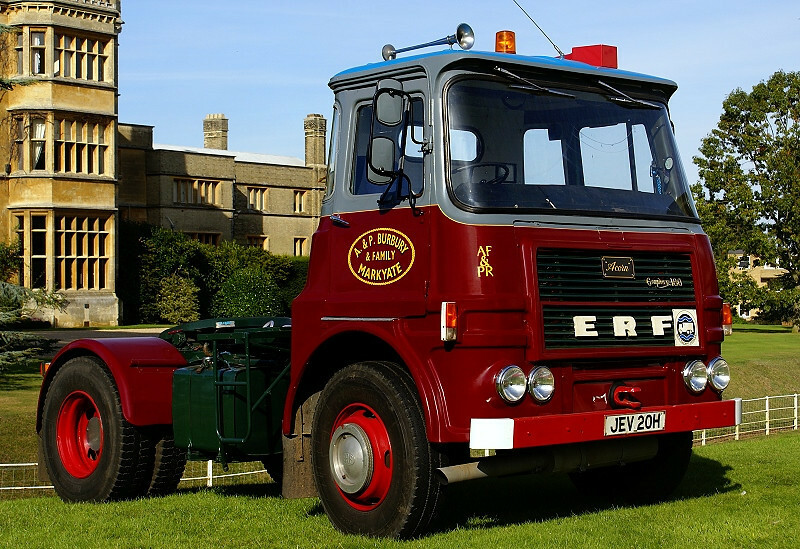 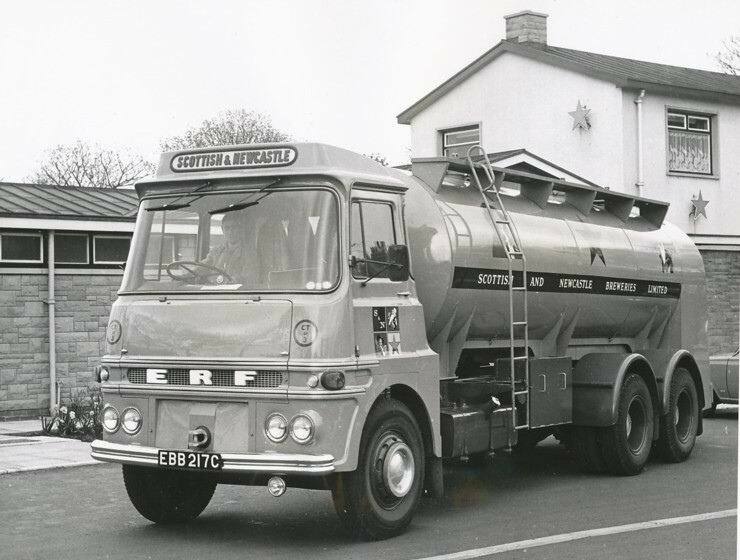 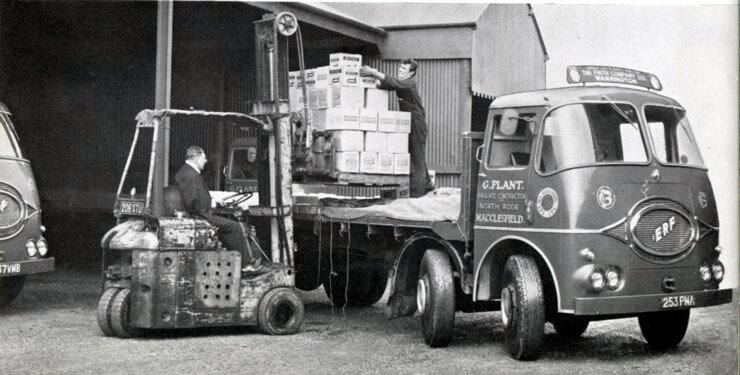 ERF’s final model range consisted of the ECT, ECM and ECL built on MAN’s production line in Munich (for heavy trucks), and a plant in Sandbach for light trucks – positioned to win a contract from the Ministry of Defence for 8,000 new British Armed Forces trucks. 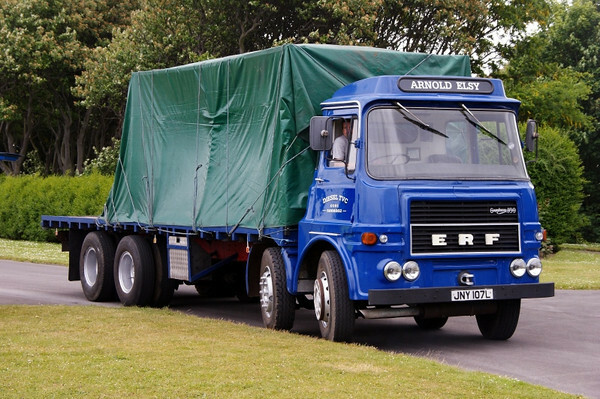 All the ERF trucks were based on MAN’s existing products, the only difference being that the ERF model came with the option of specifying use of Cummins ISMe power plant as an alternate to MAN’s own D20 common rail power-plant. 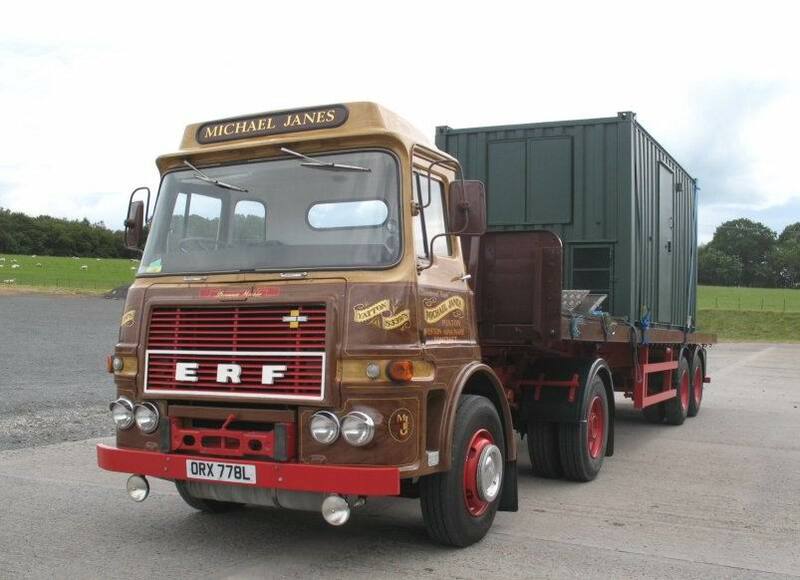 The Sandbach factory was closed by MAN in 2002, with production of the ECT moved to Munich, Germany, ECM and ECL units moved to Steyr, Austria where they are built on the same facilities as their identical MAN counterparts. 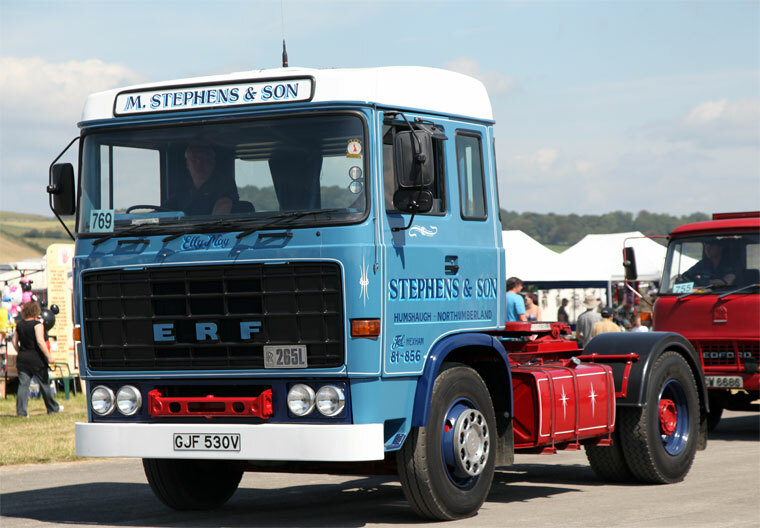 In the light of Cummins’ intransigence on upgrading the ISMe engine to comply with the Euro4 emission regulations, MAN initially decided to replace it completely with the new series of MAN D20 engines. 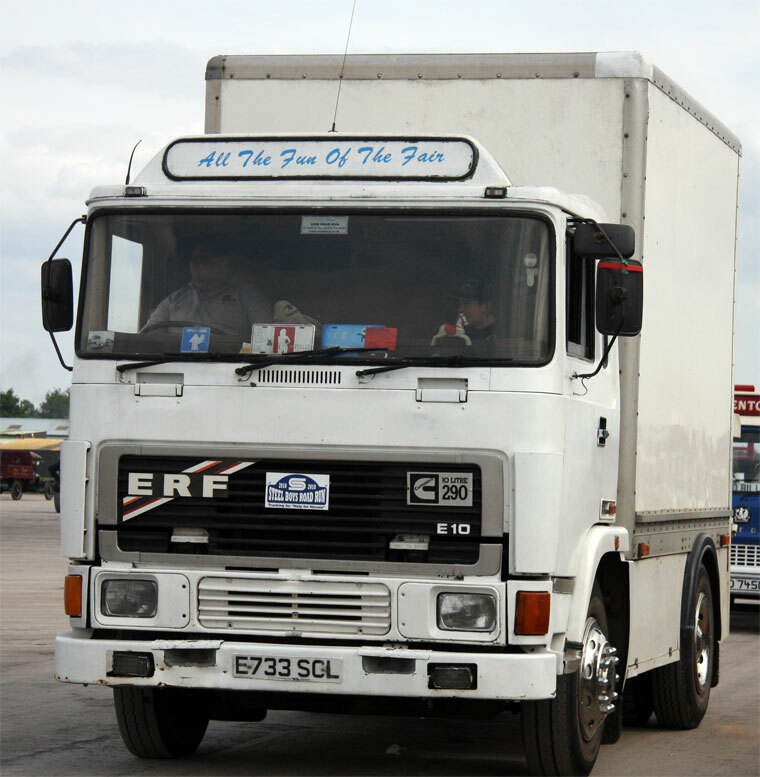 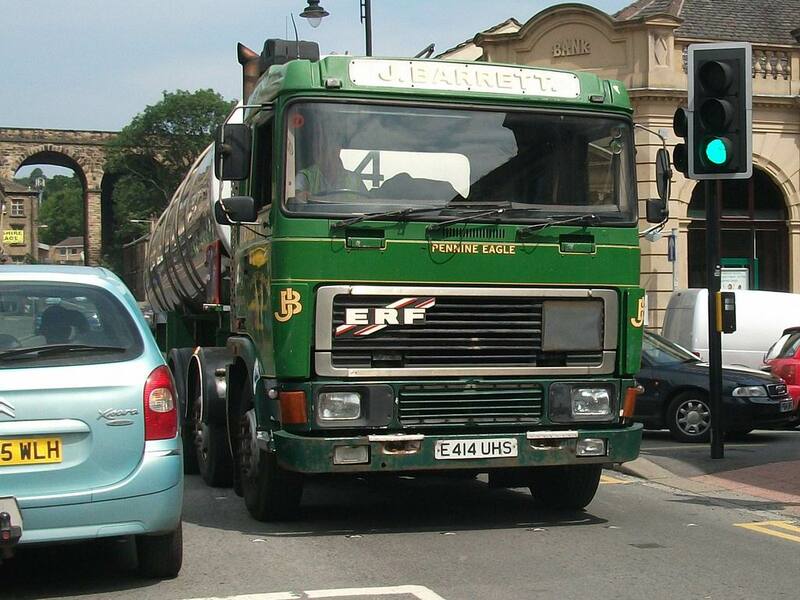 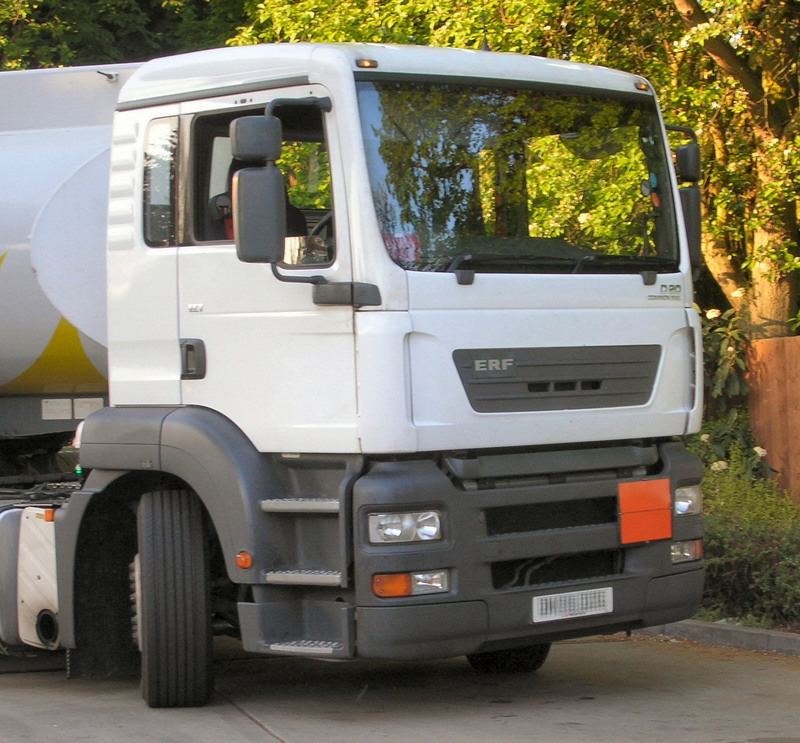 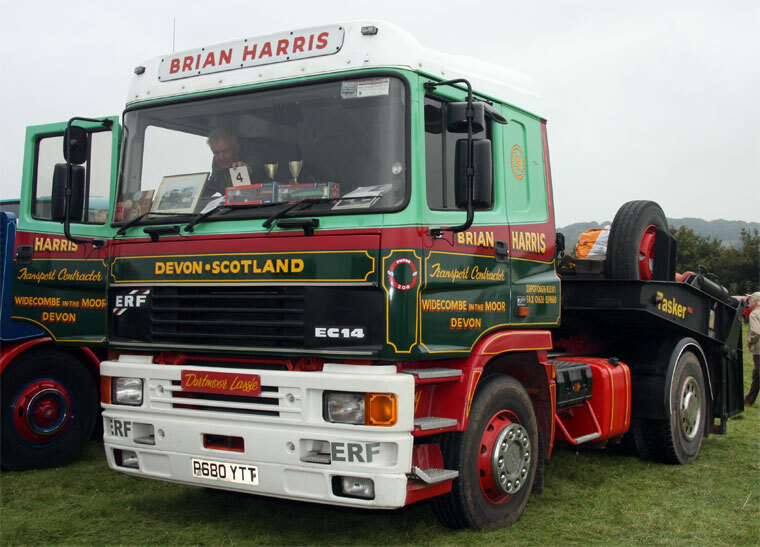 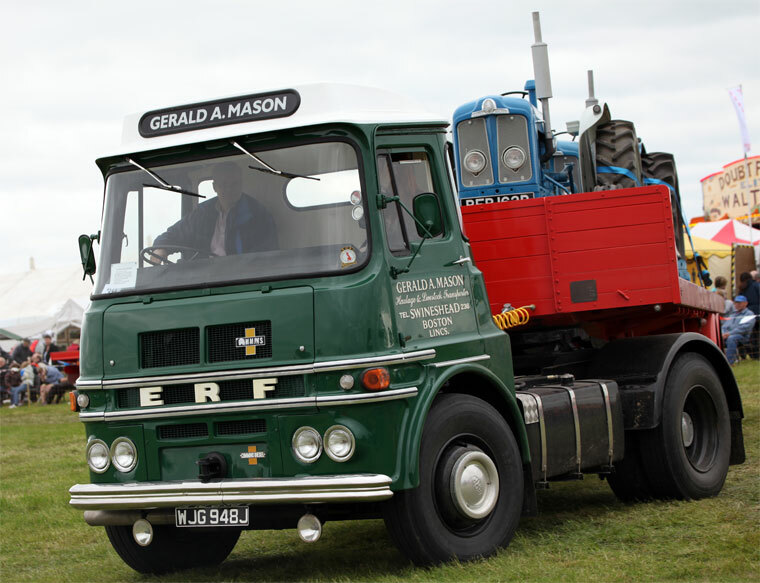 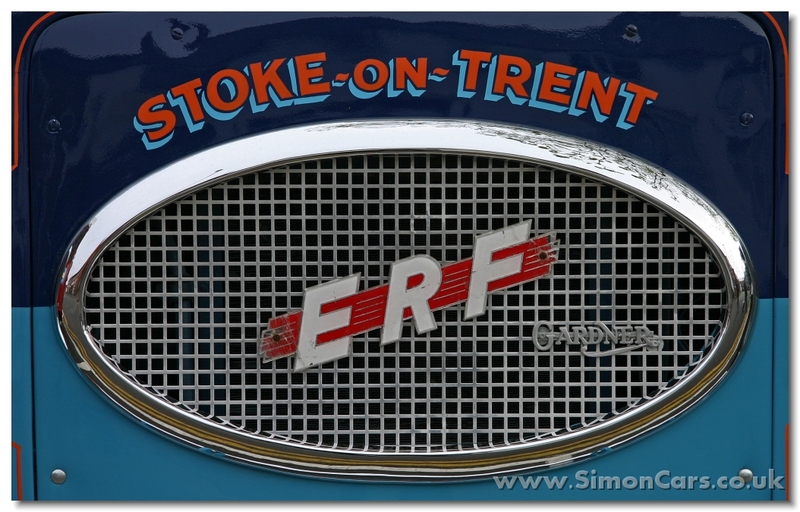 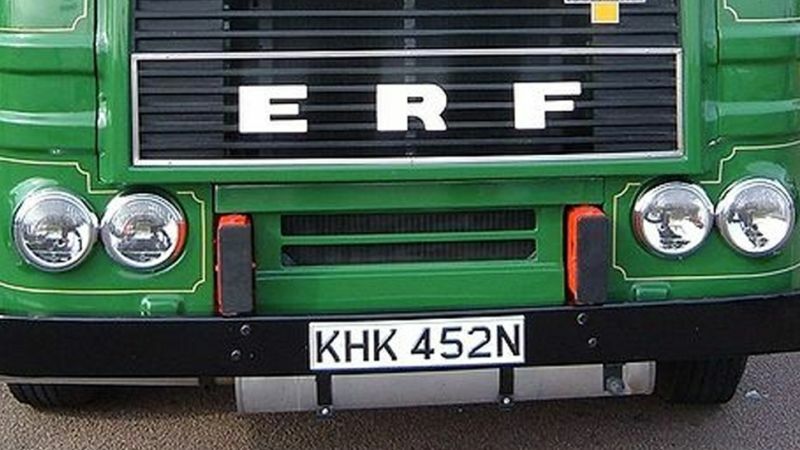 With ERF badging only used for the British market, MAN decided to cease the supply of ERF badged trucks from July 2007. 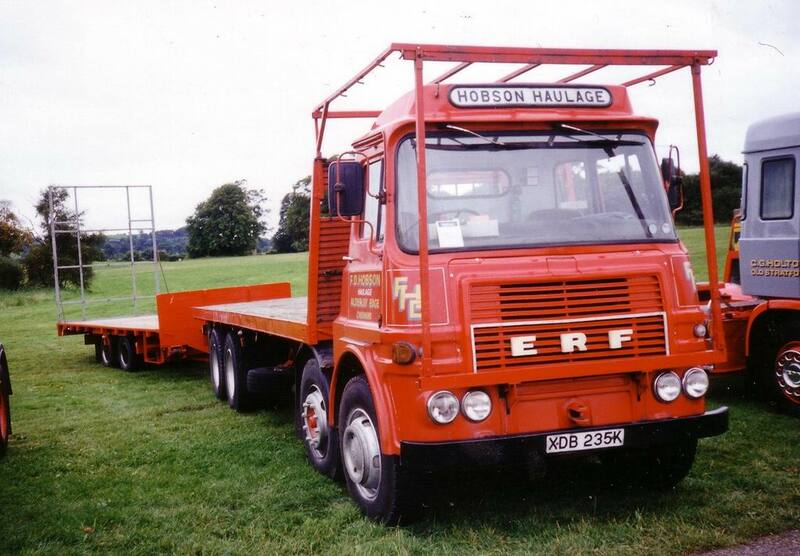 On the BBC motoring programme Top Gear, the presenters are challenged to buy lorries and presenter Richard Hammond buys an ERF from Walker Movements Limited in Leicester. 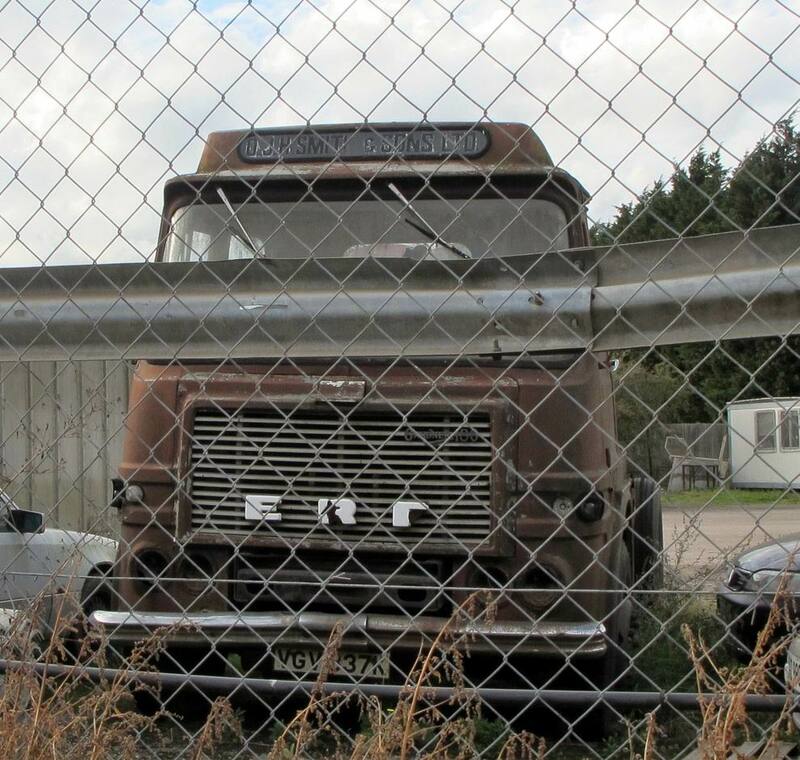 He pronounces the name phonetically. 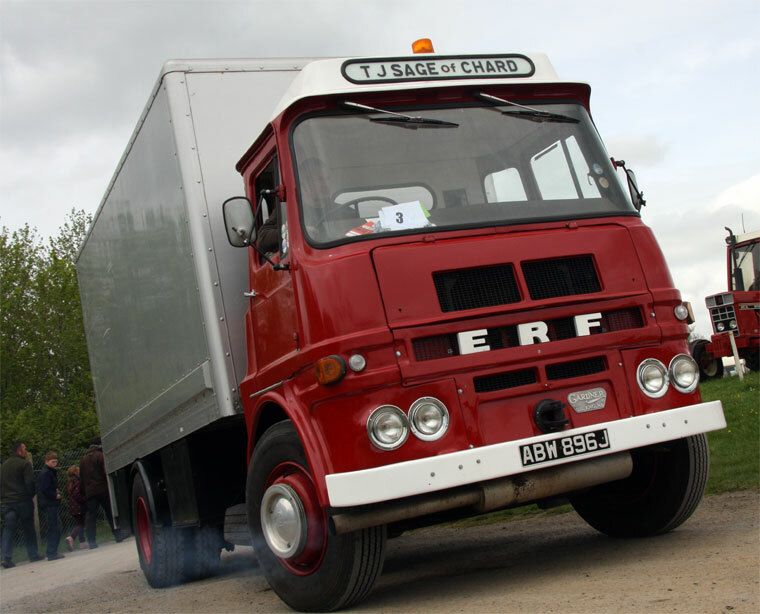 In response to a quip about its diminutive size, Hammond responds by calling it ‘the Caterham of lorries’ as it has an engine that could match Jeremy Clarkson‘s 12 litres (732.3 cu in) Renault Magnum, but as light and as small as James May‘s Scania P94D. 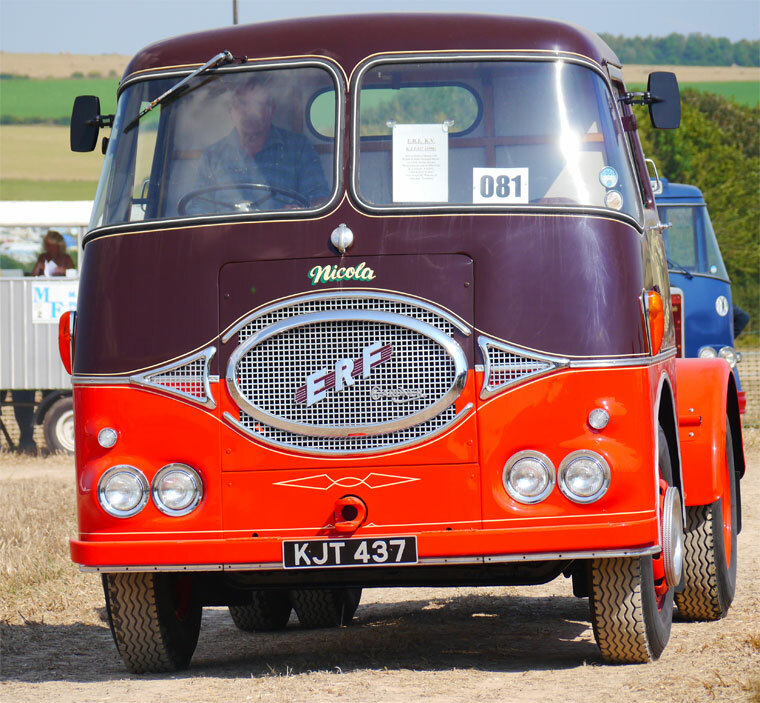 It was also the fastest among the three; it has a top speed that exceeds 90 miles per hour (145 km/h). 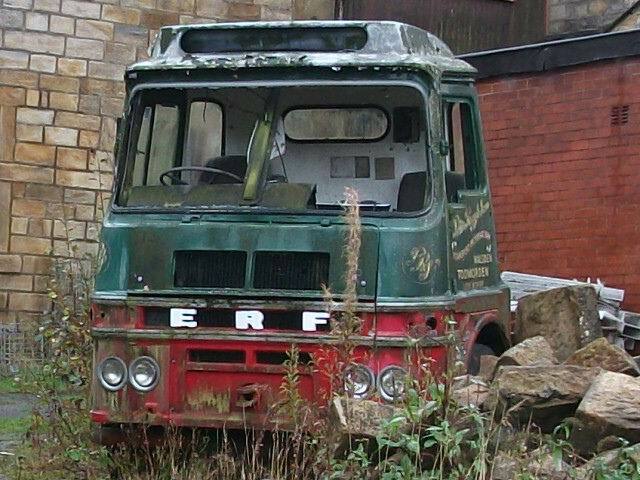 Dai Davies, ERF: The Inside Story, 2009, 160p. 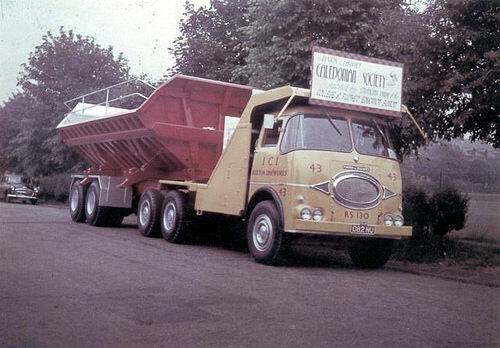 300 col. & b/w ill. h/b. 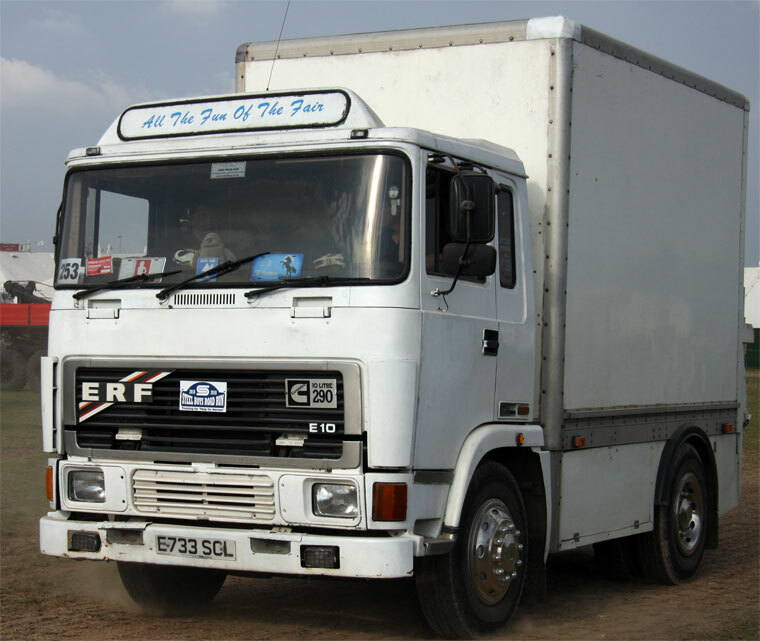 e veja quais são os que Erick Oliveira RECOMENDA!